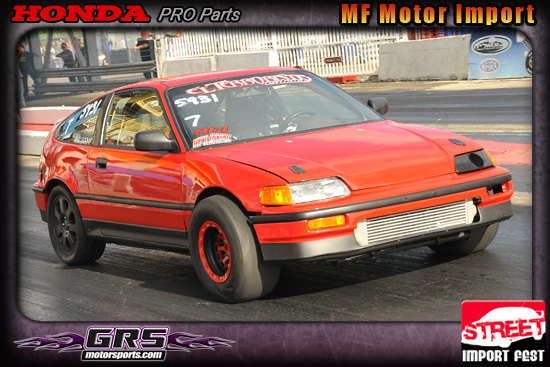 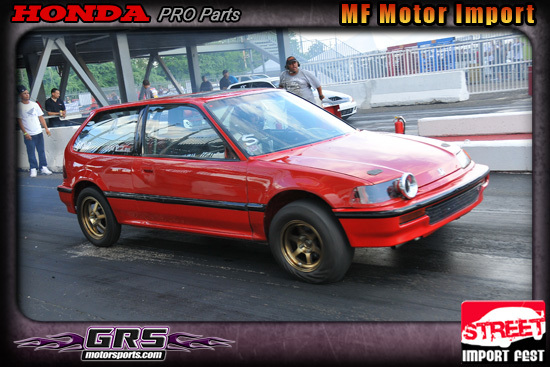 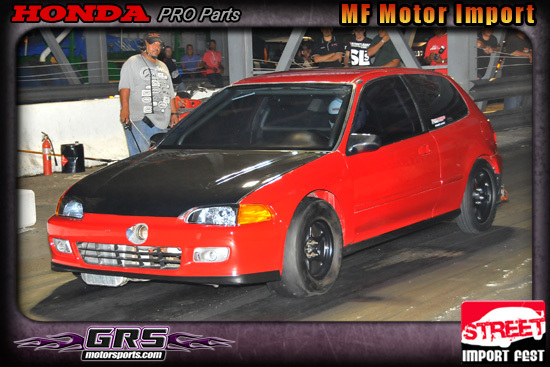 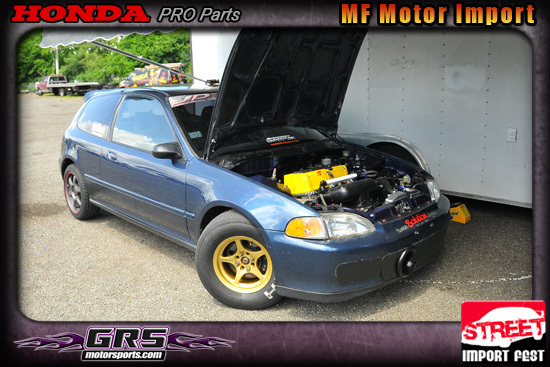 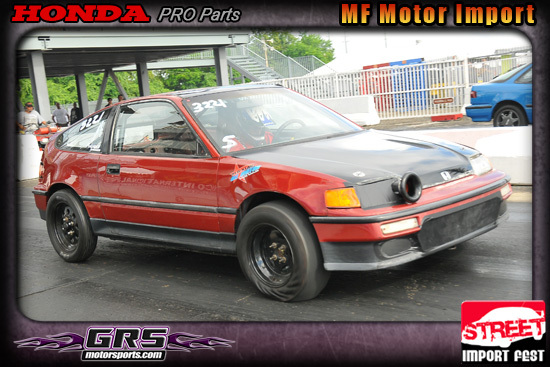 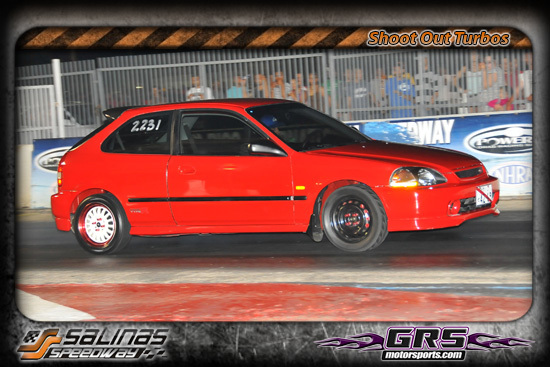 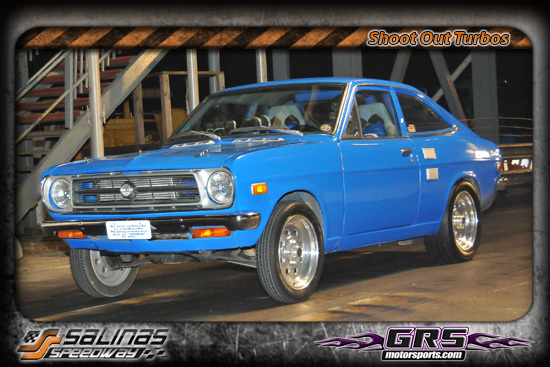 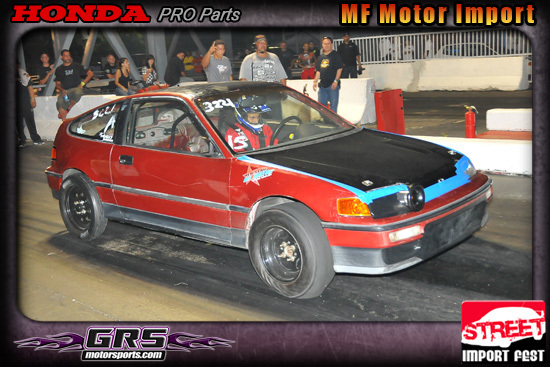 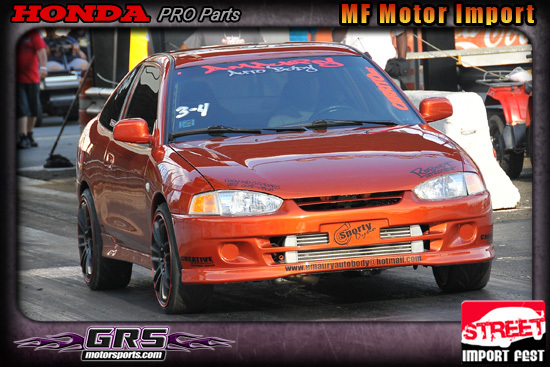 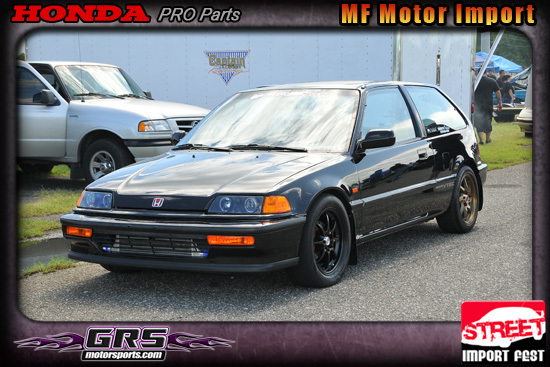 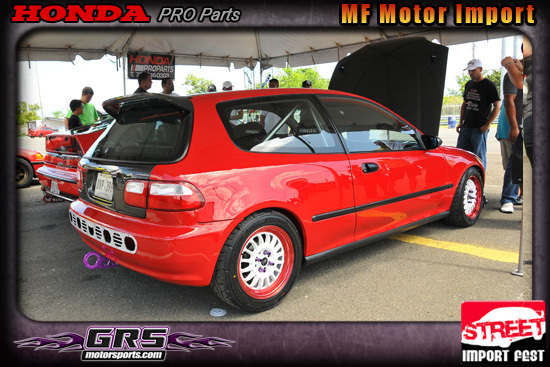 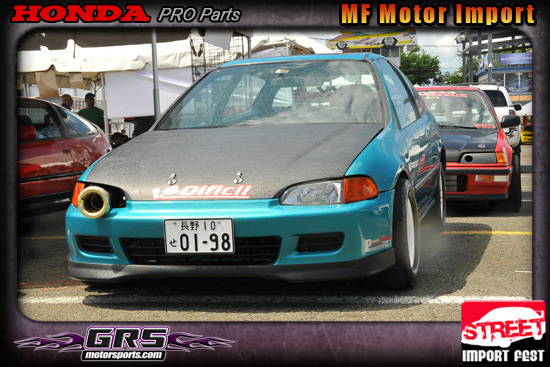 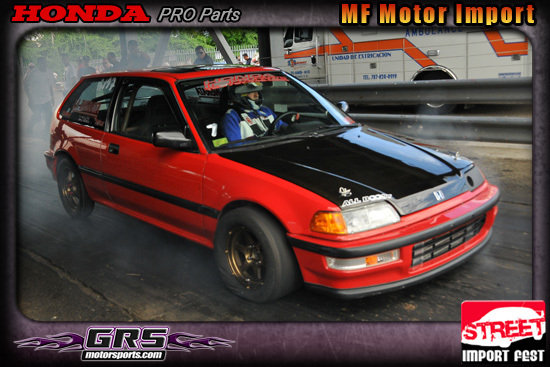 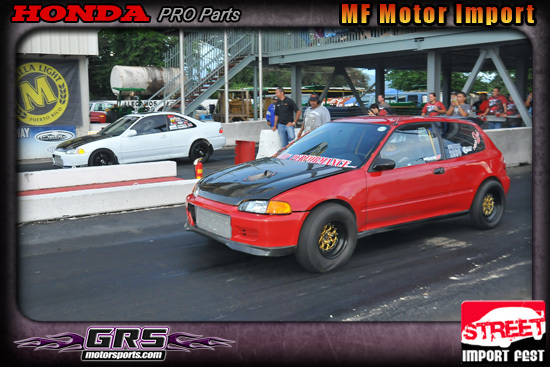 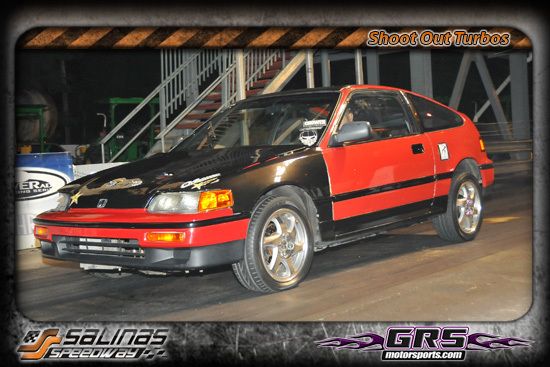 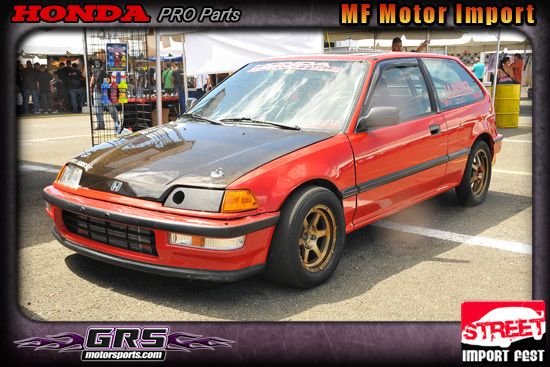 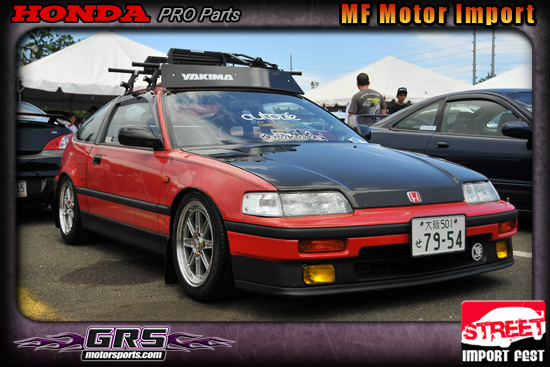 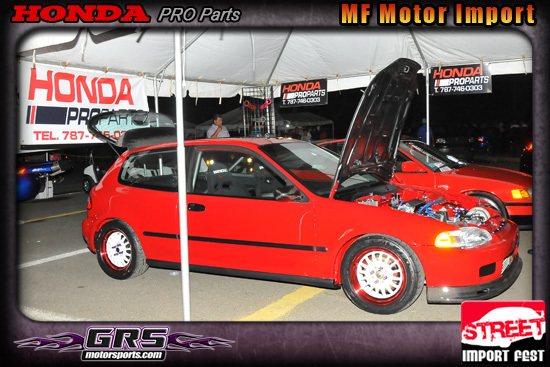 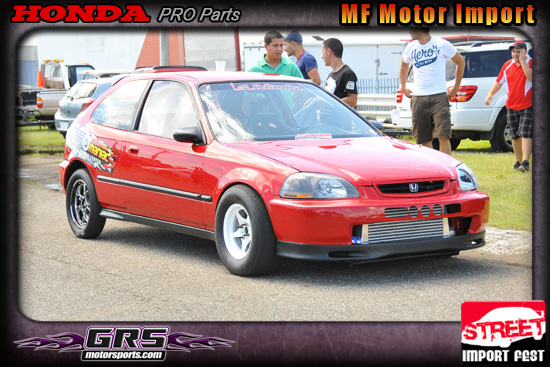 Civic Red Star Motoring - index, 9.50 - et - Prob. 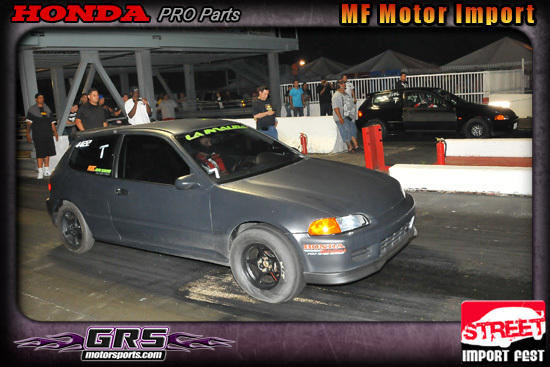 La Cascarita - index, 11.70 - et - 13.31 segs. 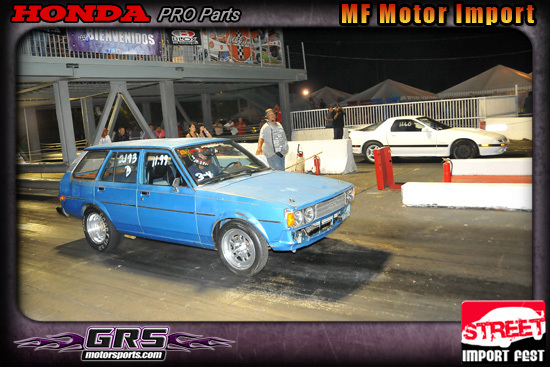 El Chango - 17.14 segs. 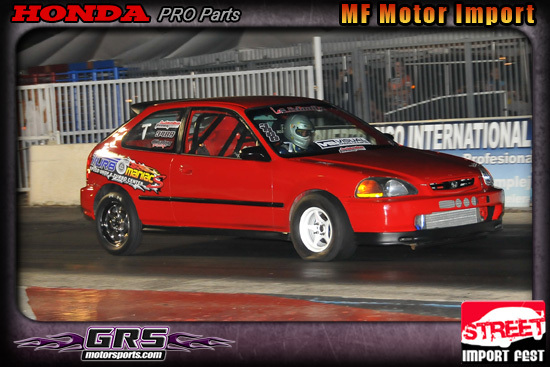 La Casper I's Back - Prob. 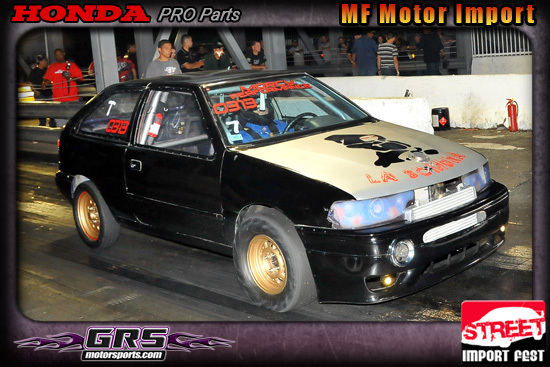 La Bestia - 13.09 segs. 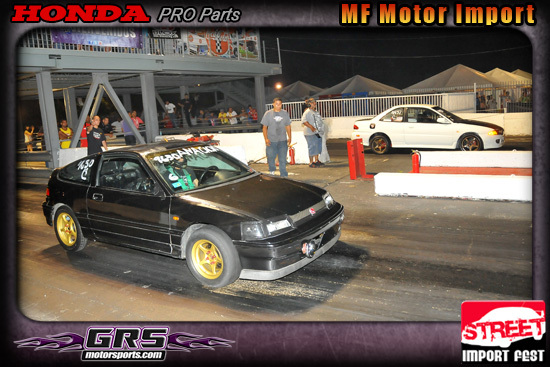 Florito Performance - 13.08 segs. 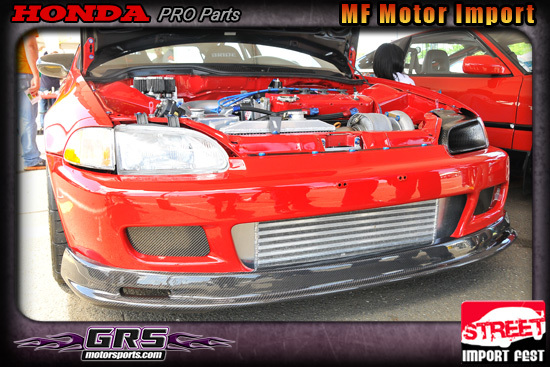 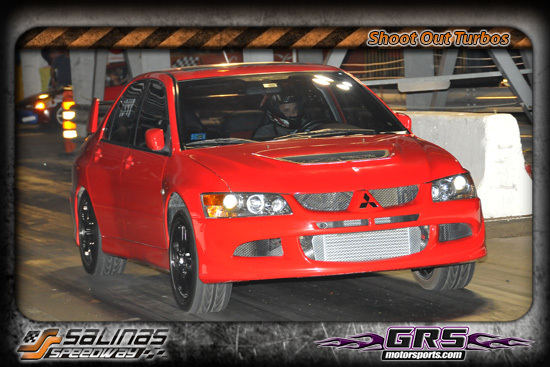 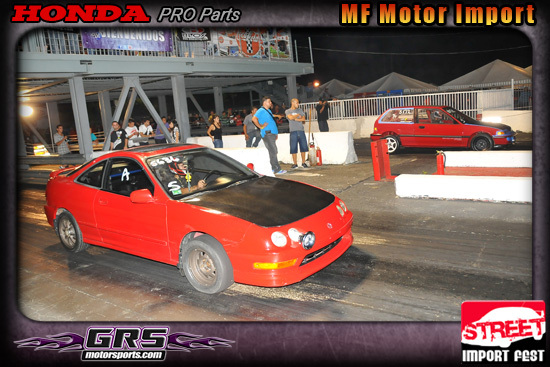 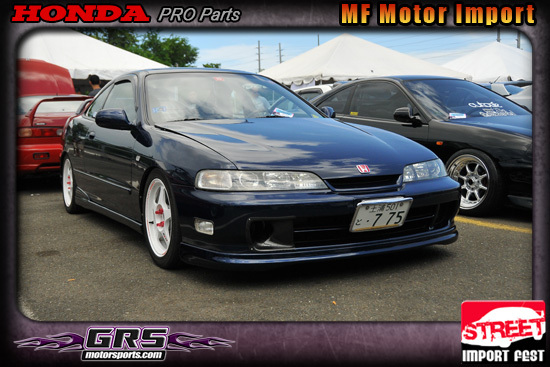 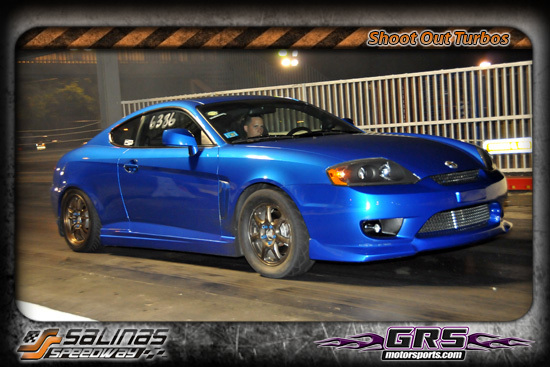 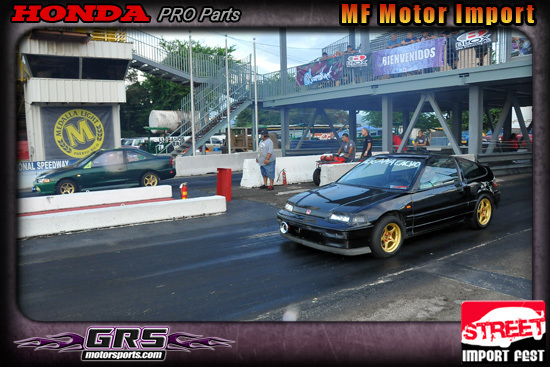 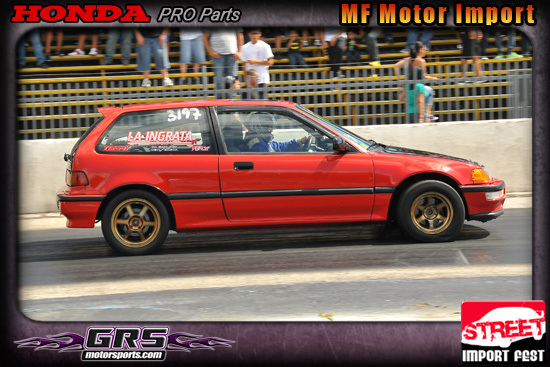 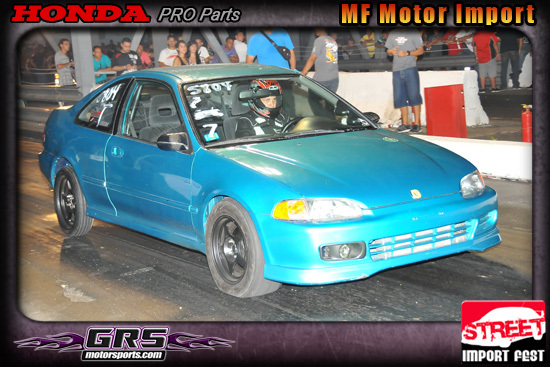 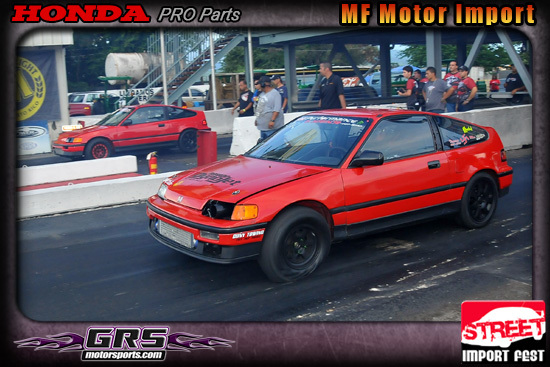 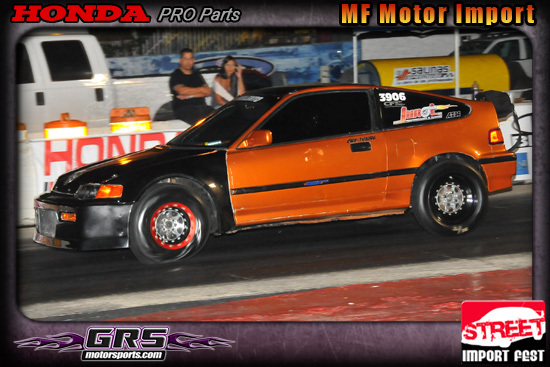 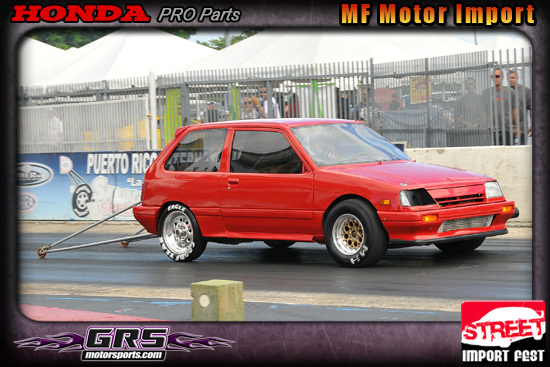 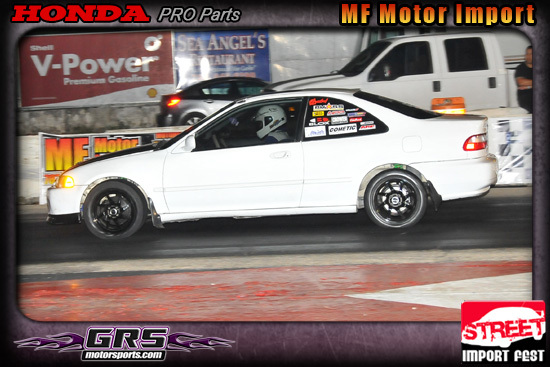 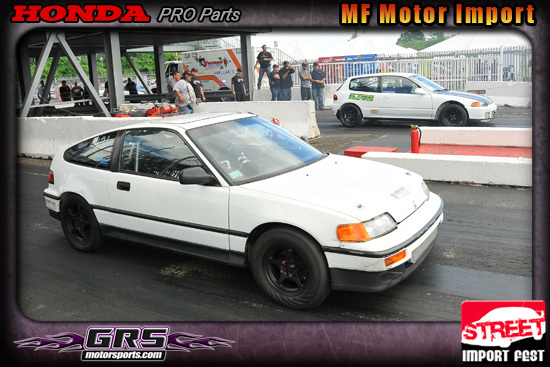 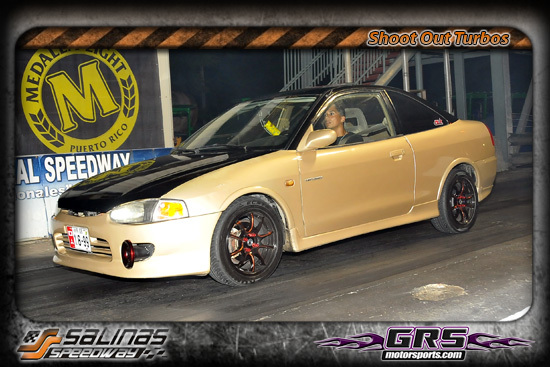 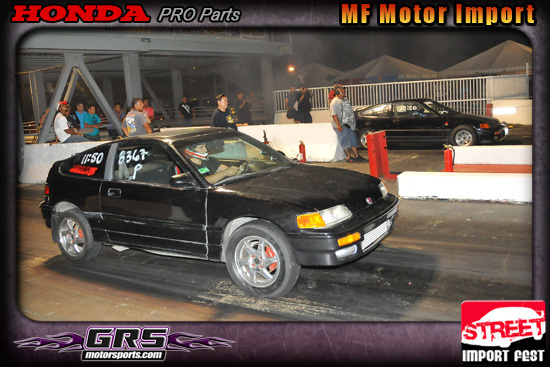 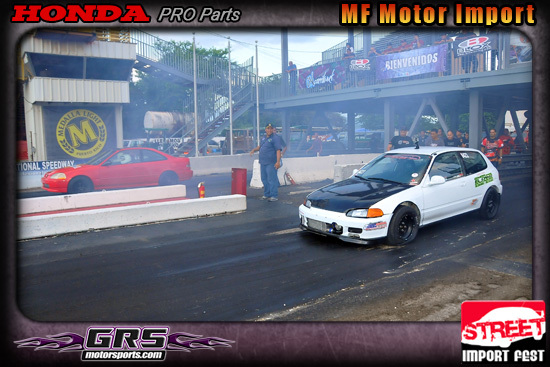 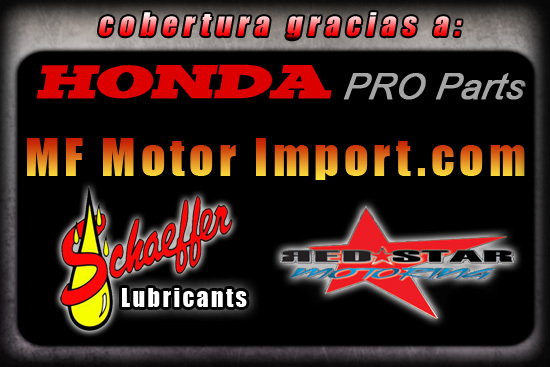 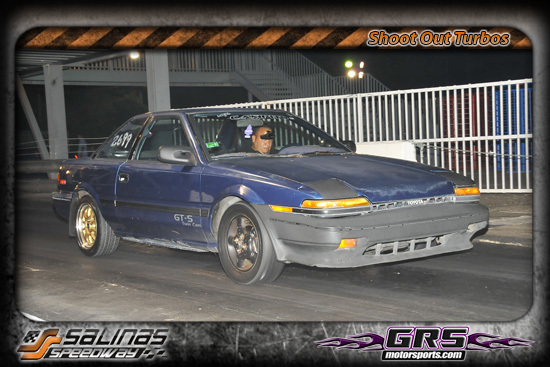 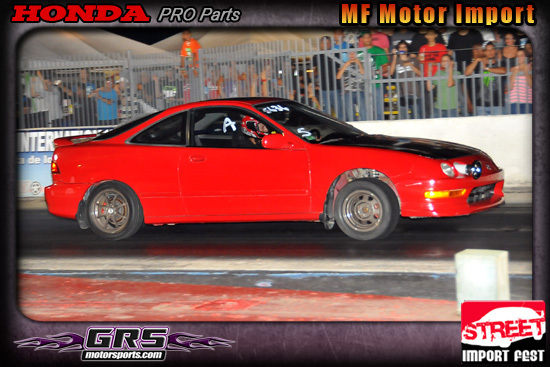 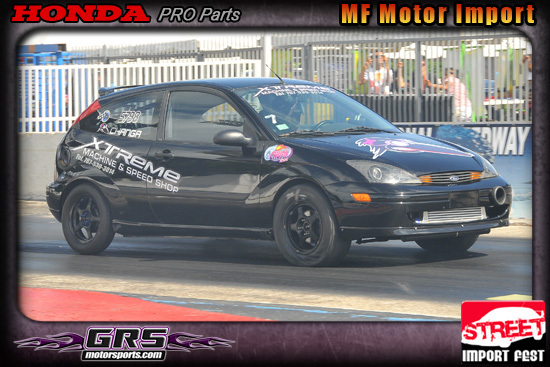 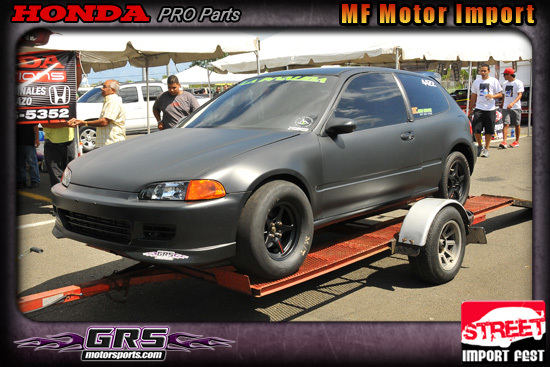 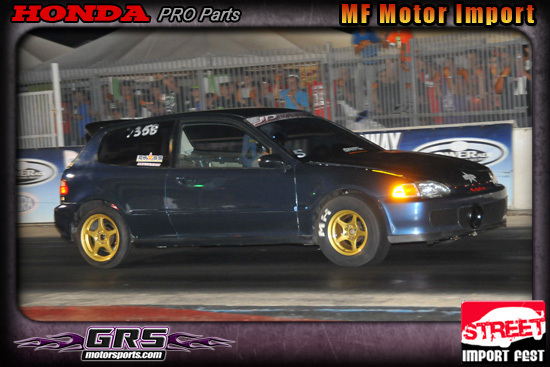 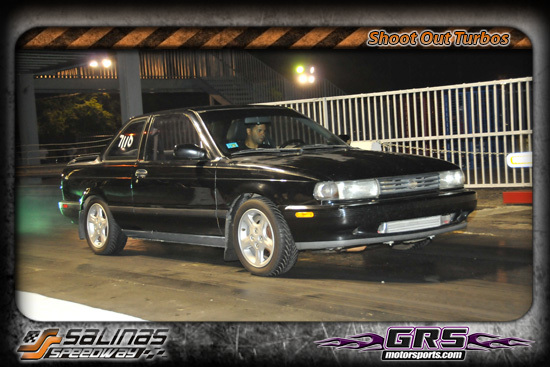 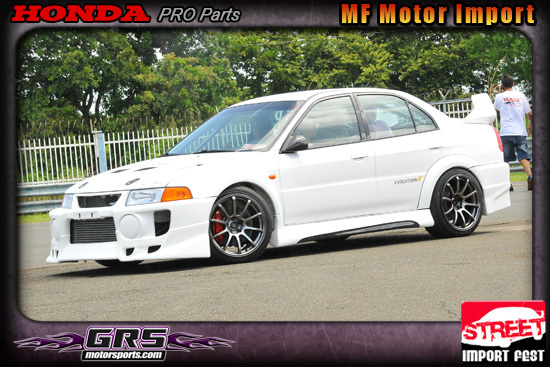 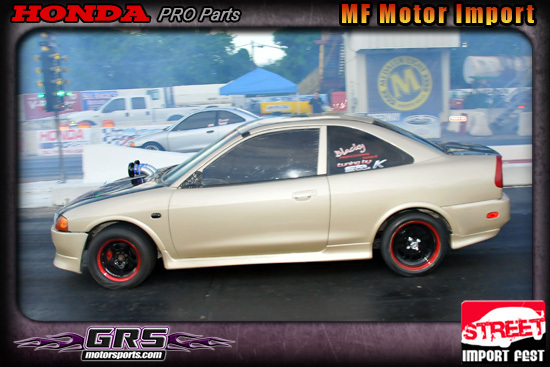 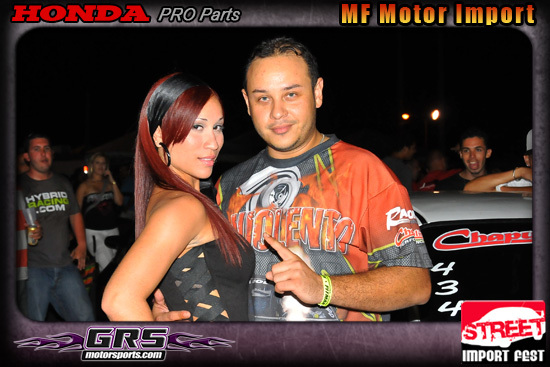 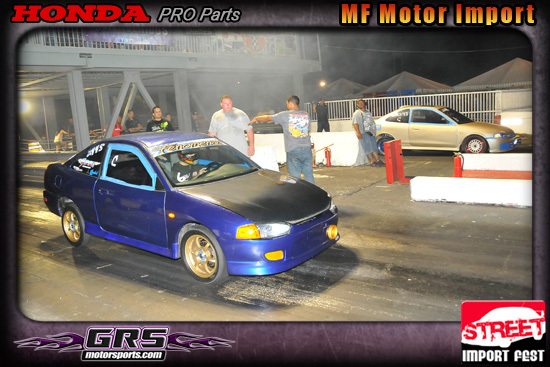 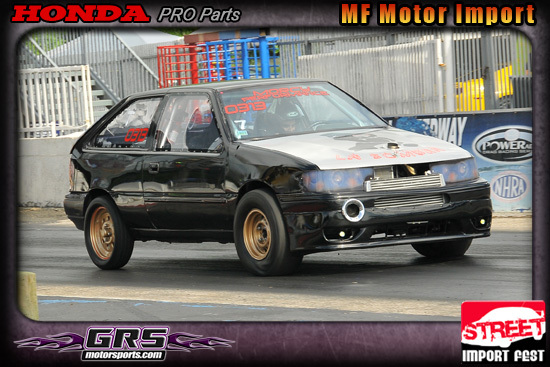 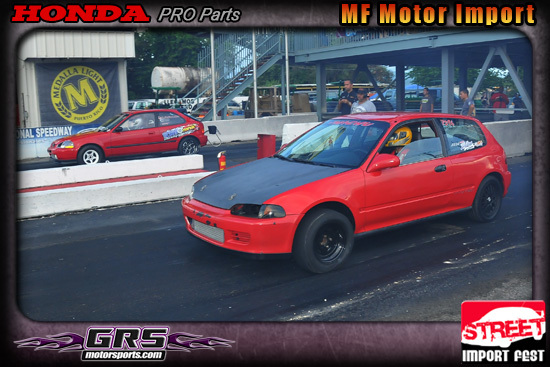 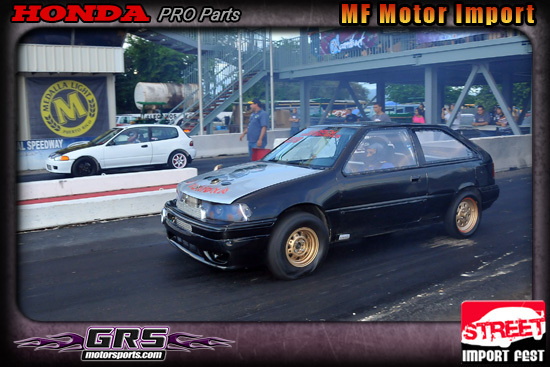 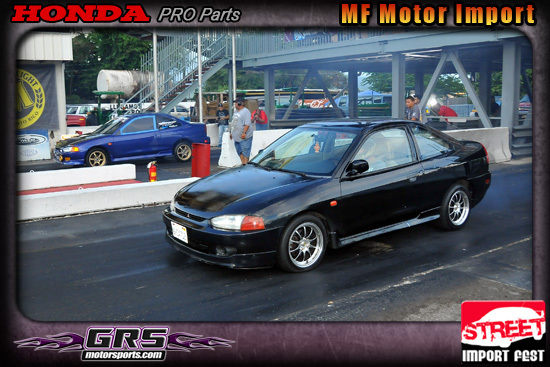 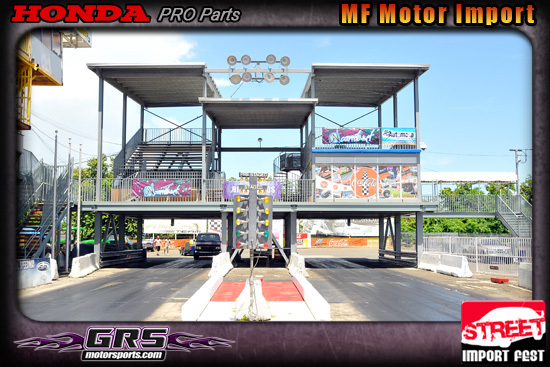 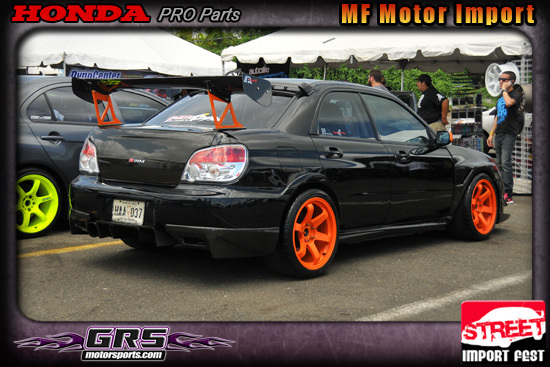 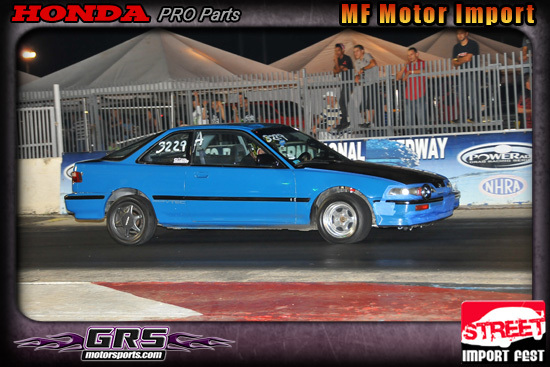 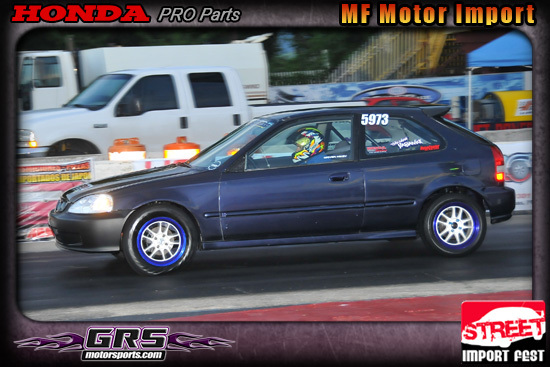 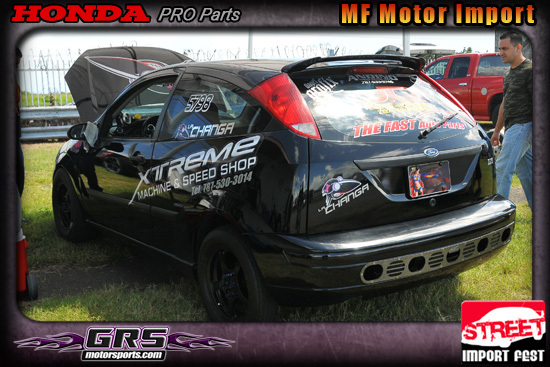 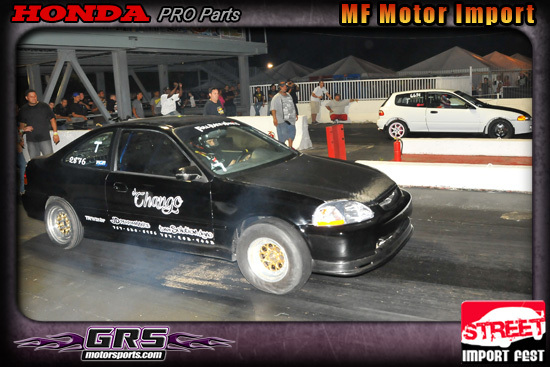 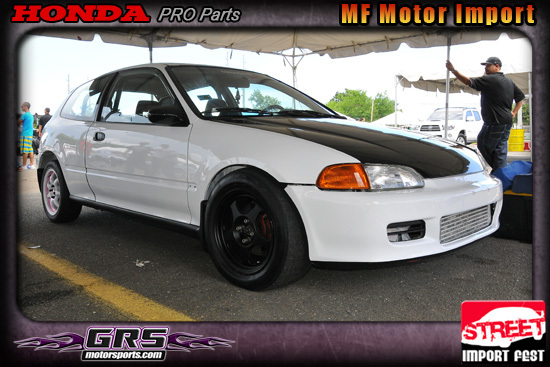 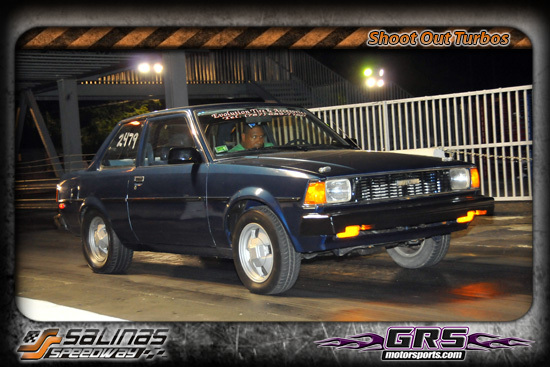 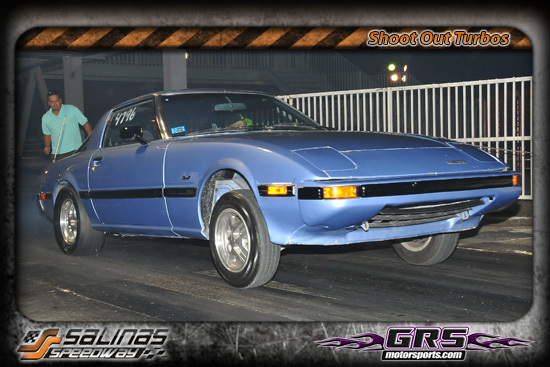 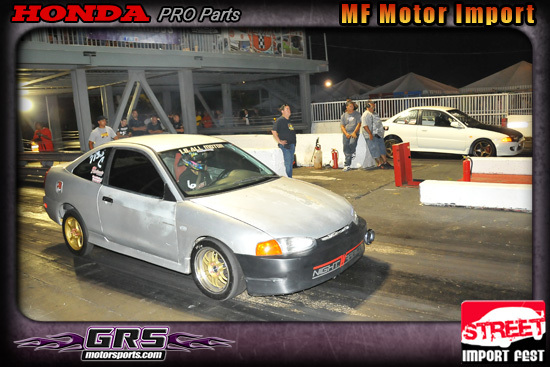 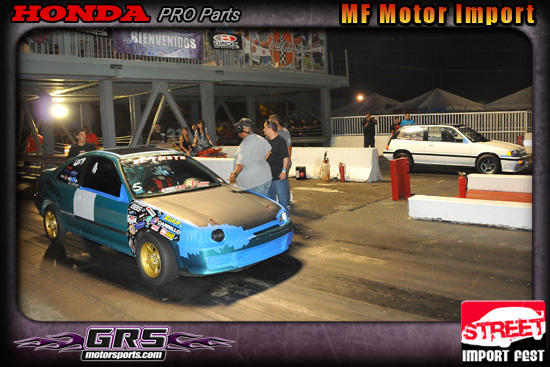 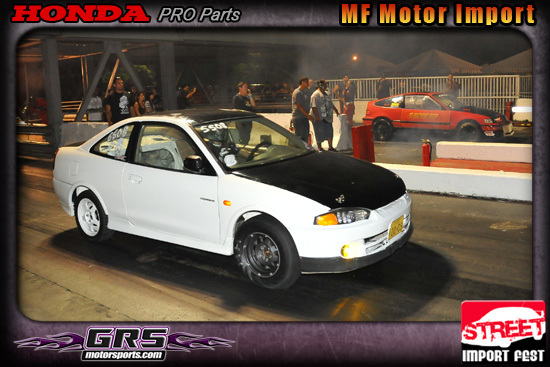 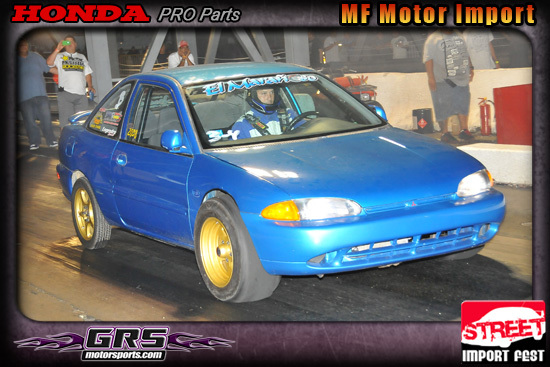 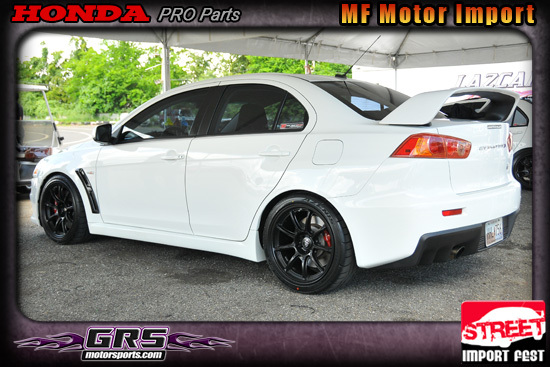 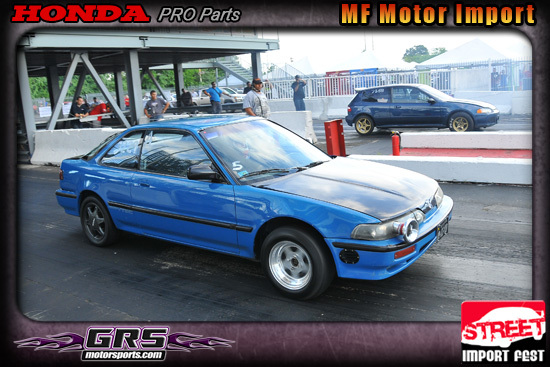 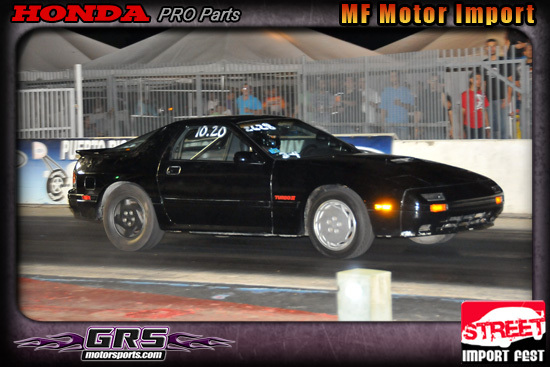 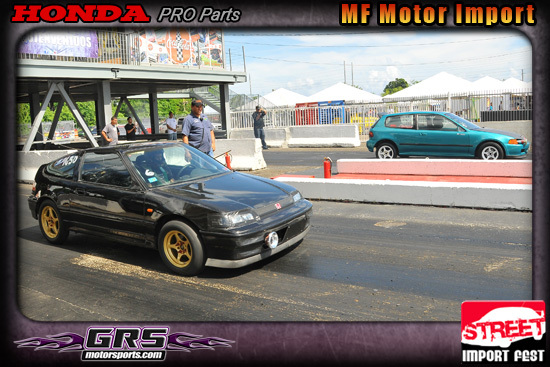 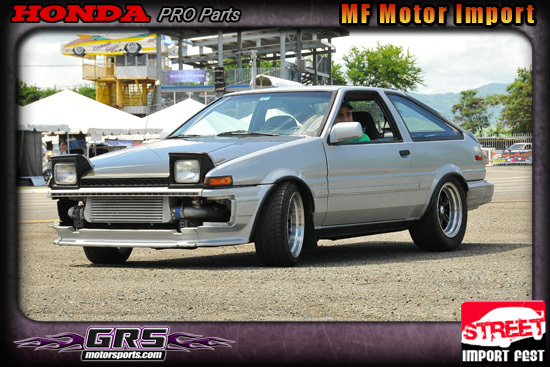 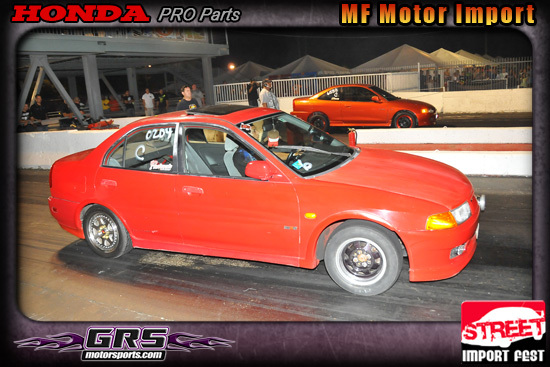 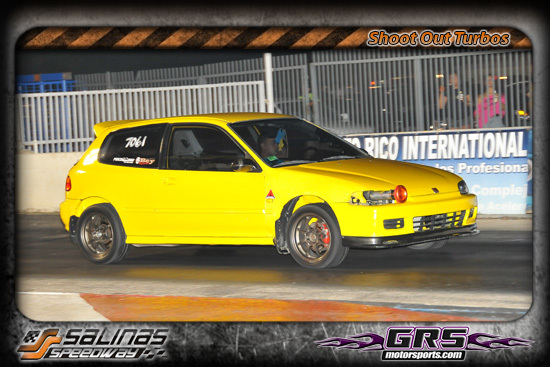 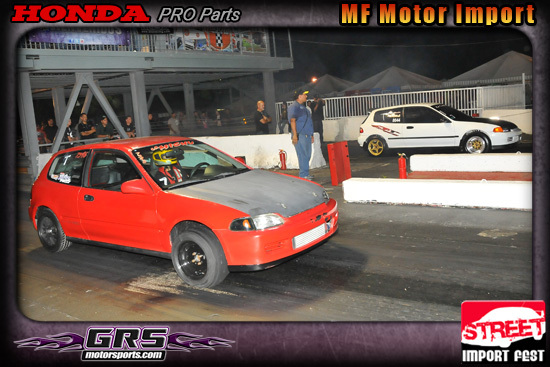 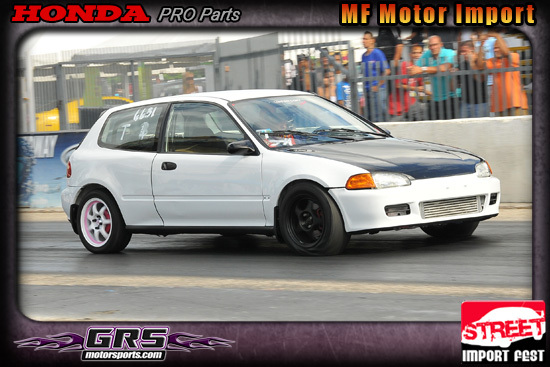 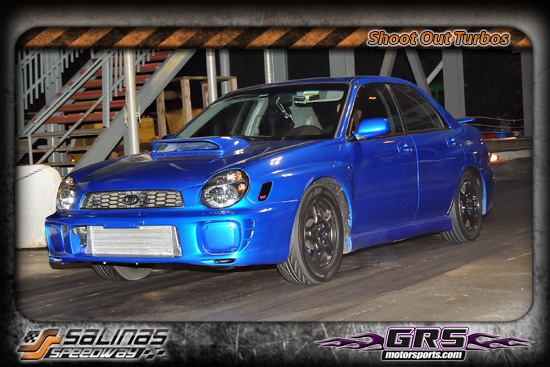 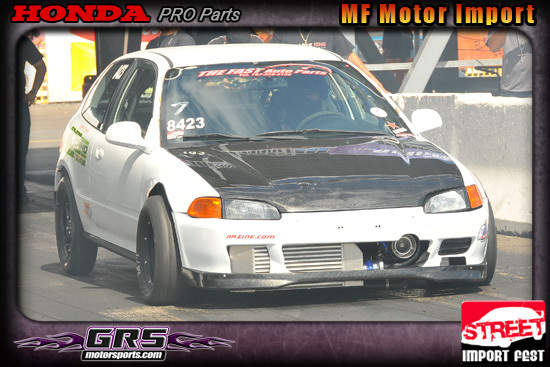 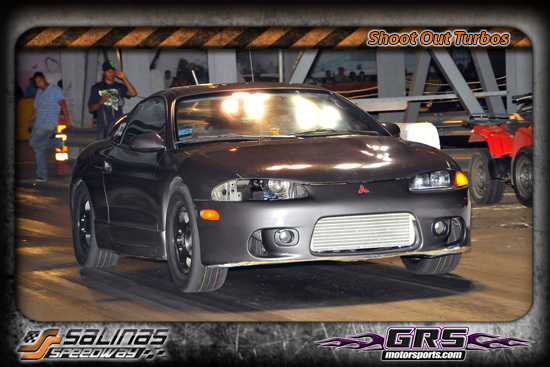 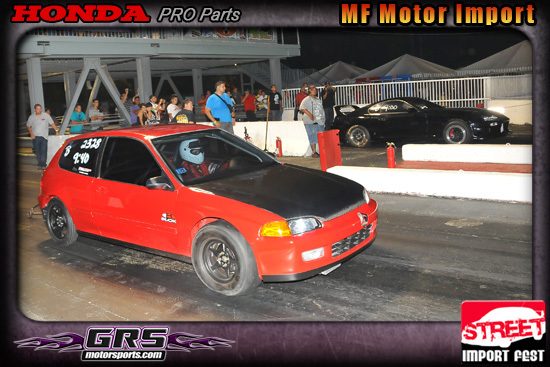 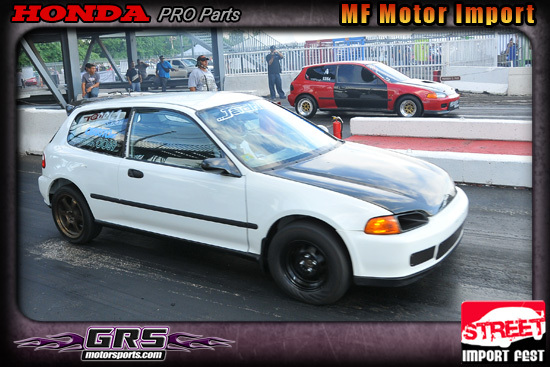 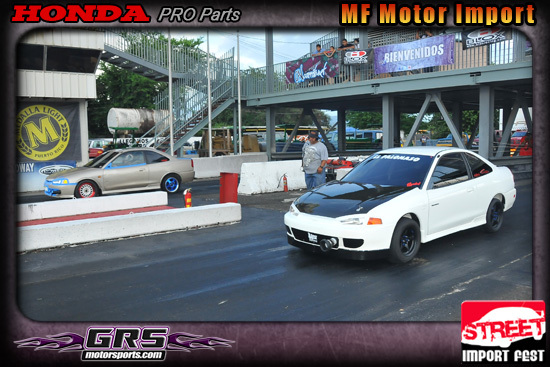 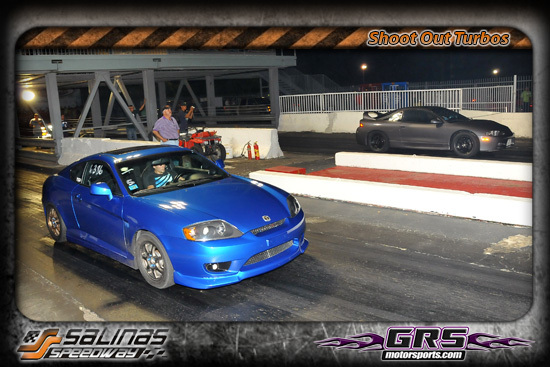 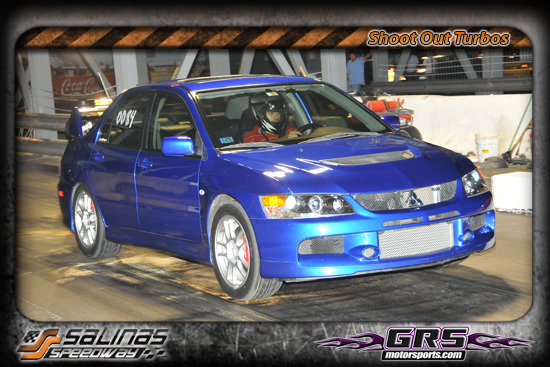 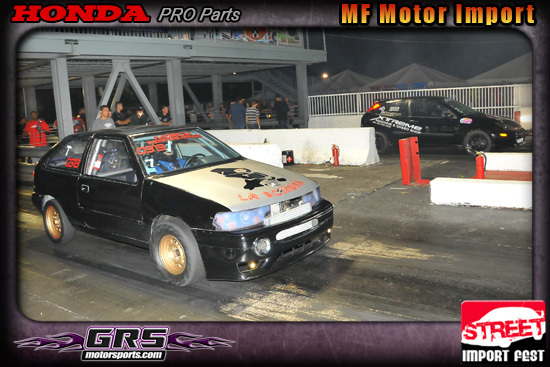 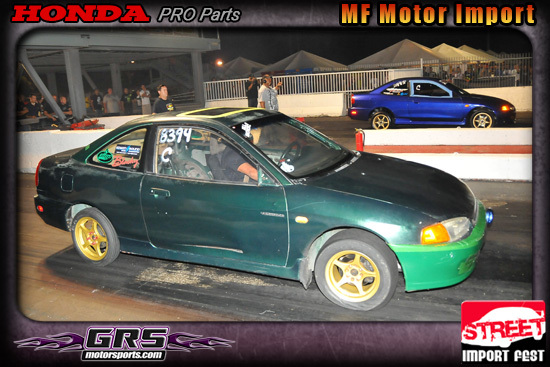 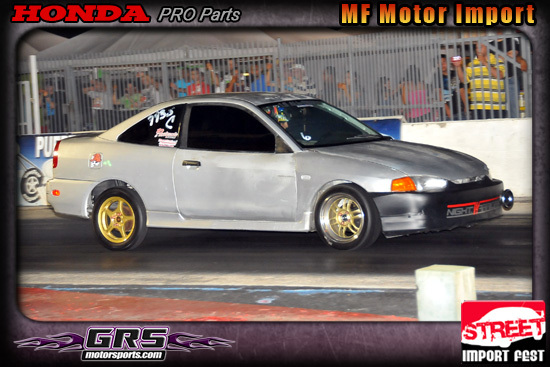 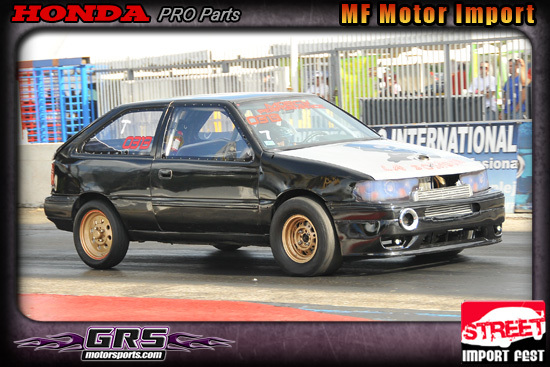 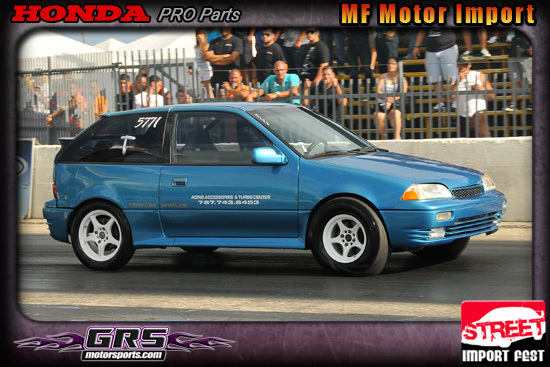 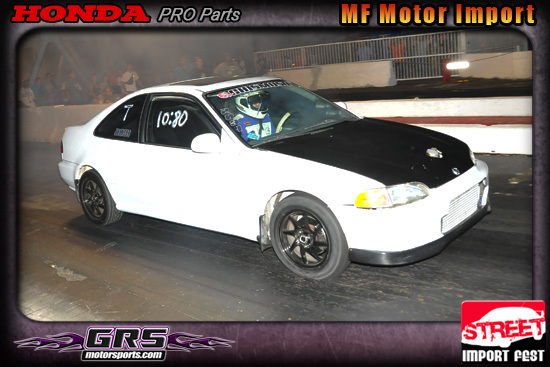 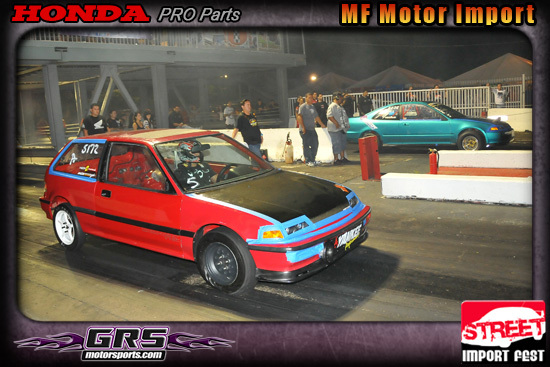 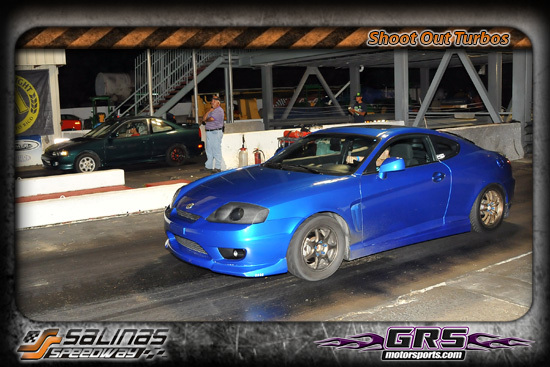 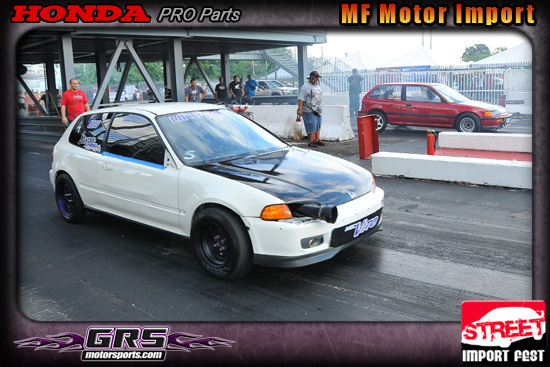 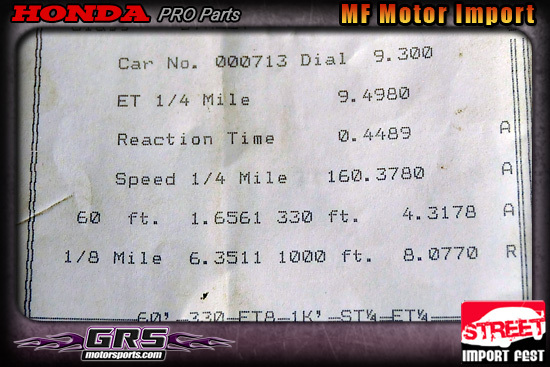 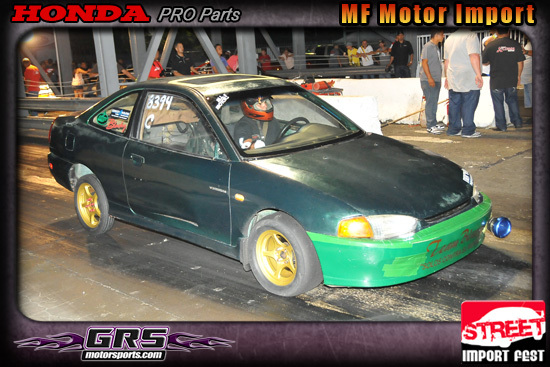 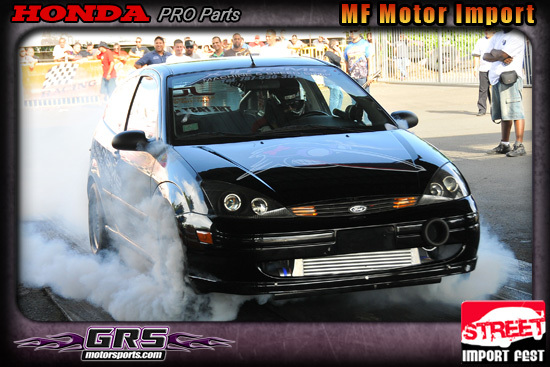 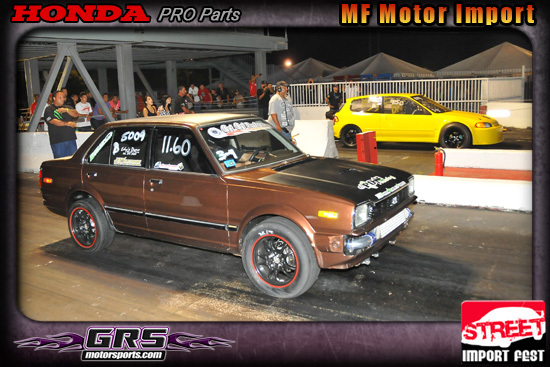 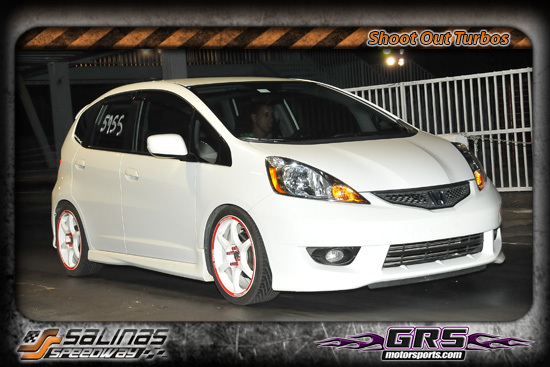 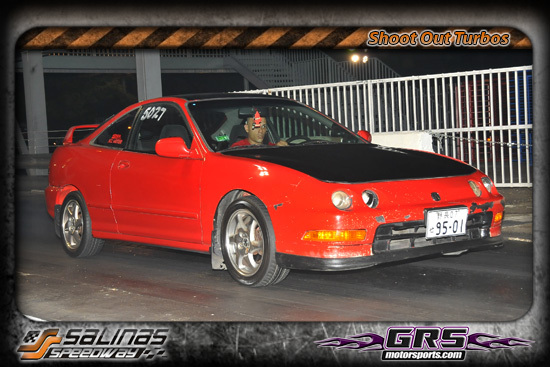 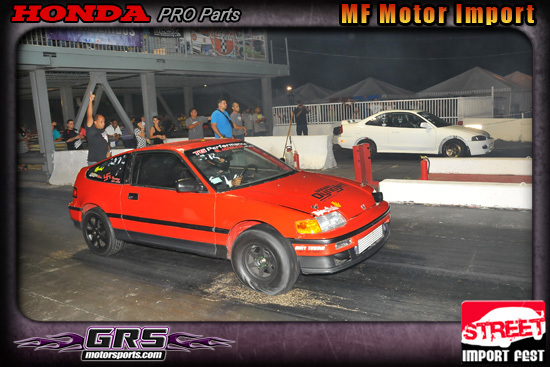 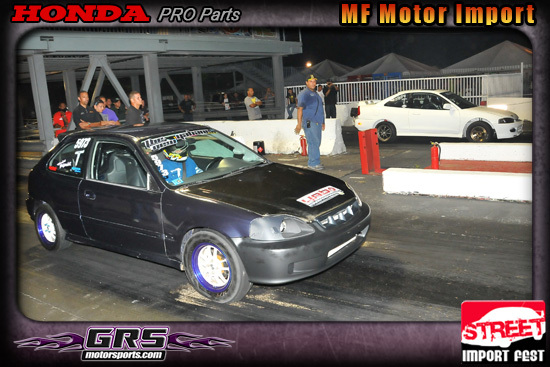 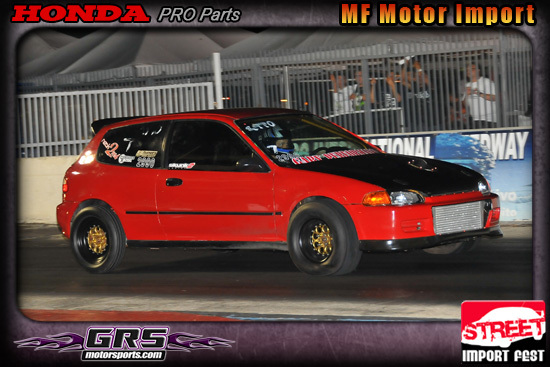 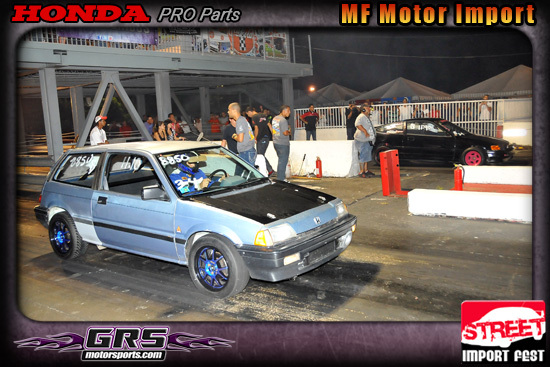 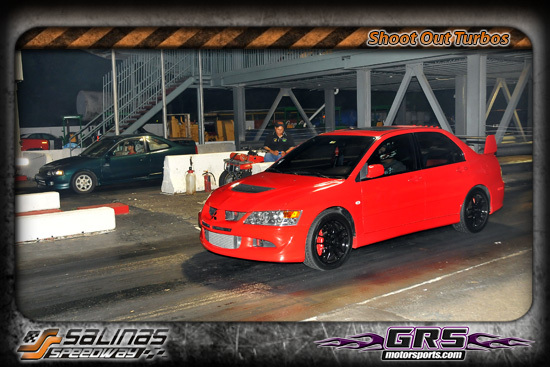 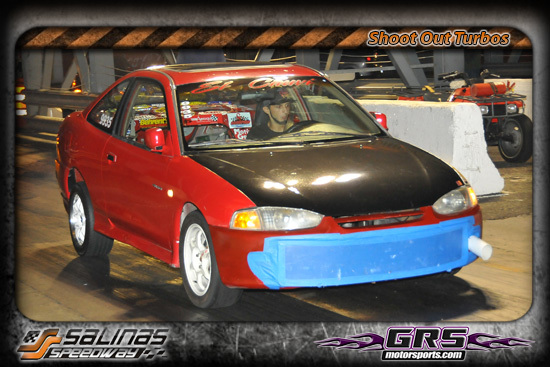 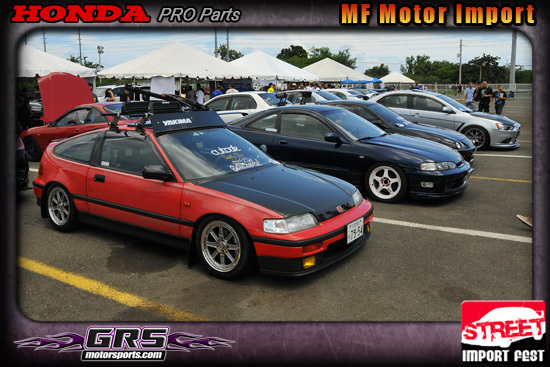 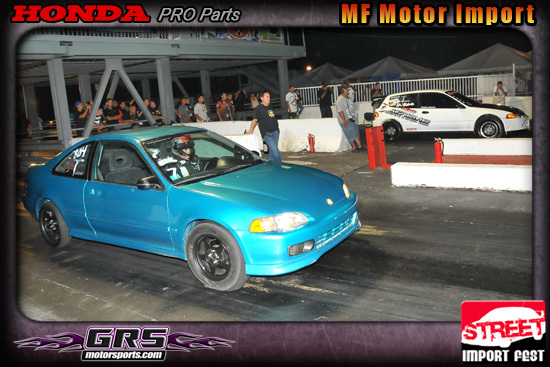 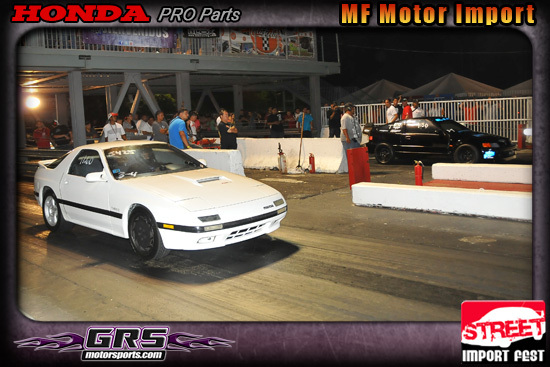 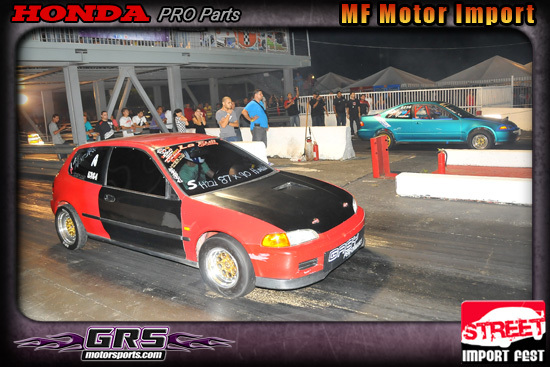 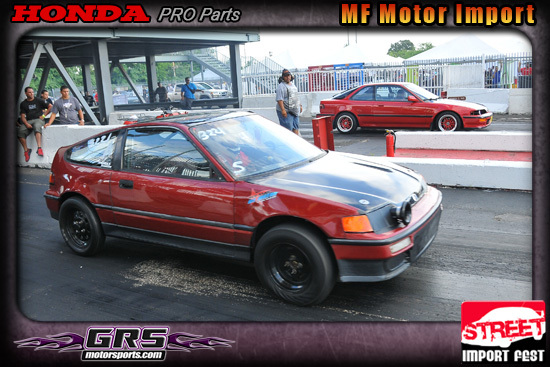 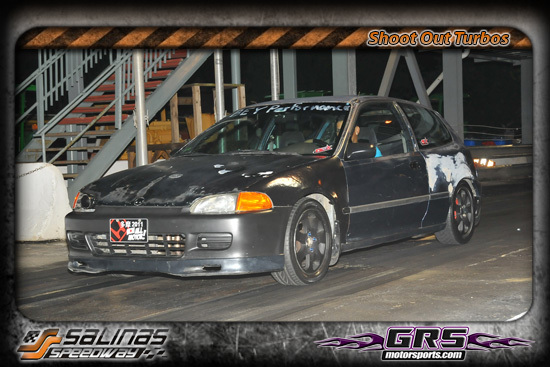 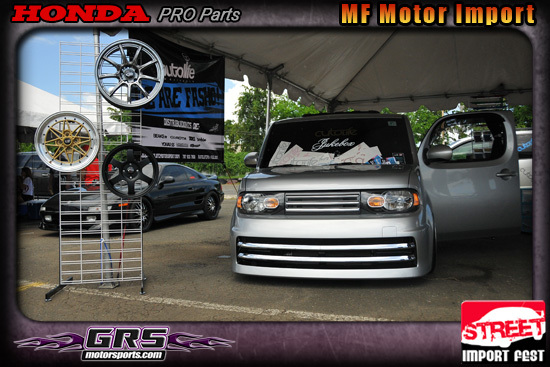 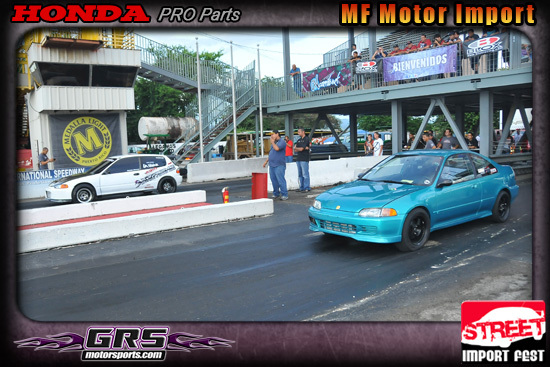 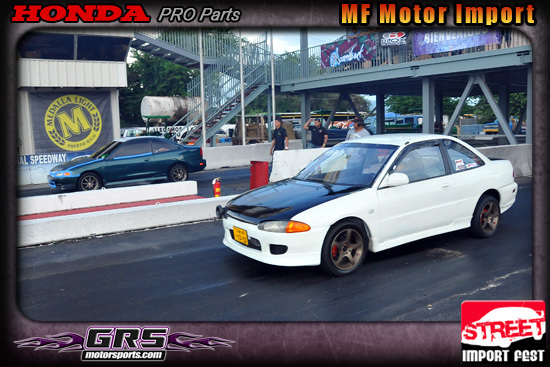 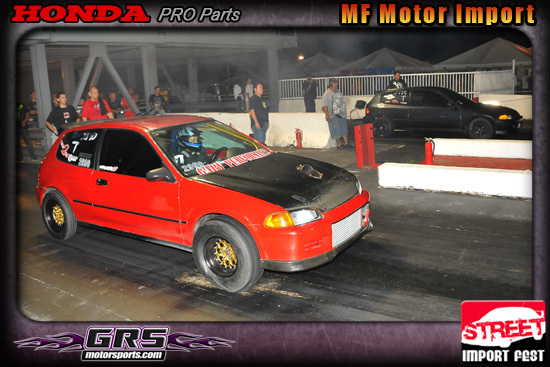 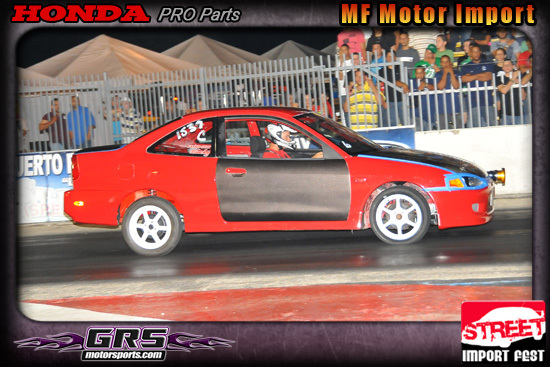 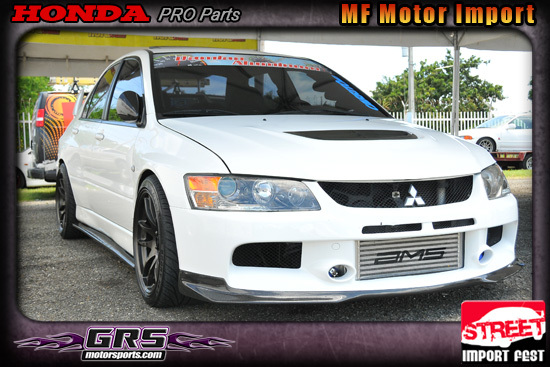 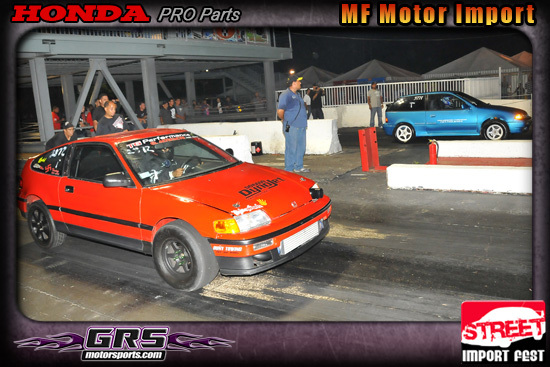 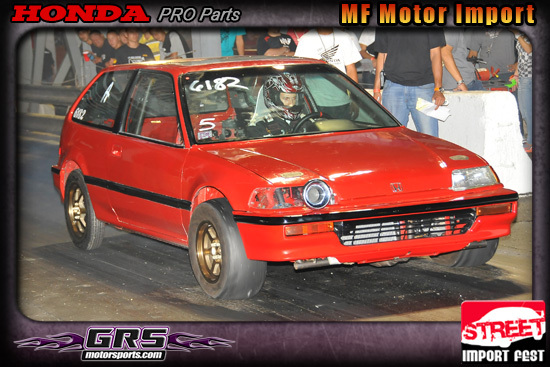 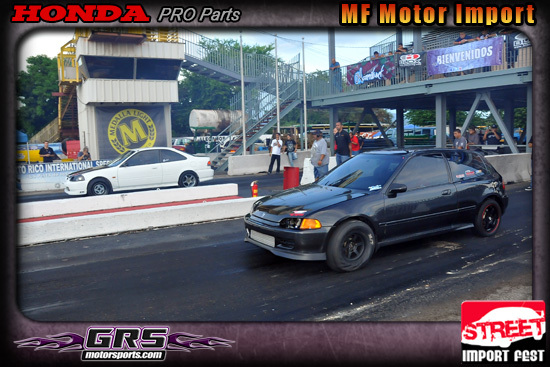 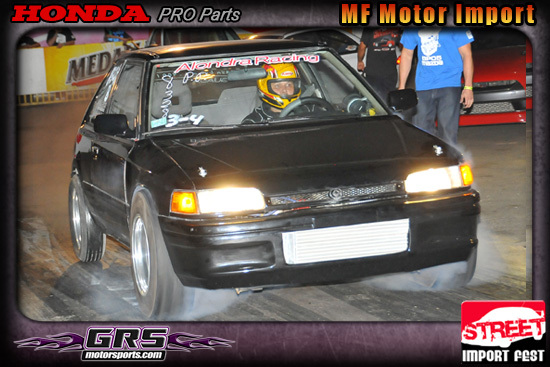 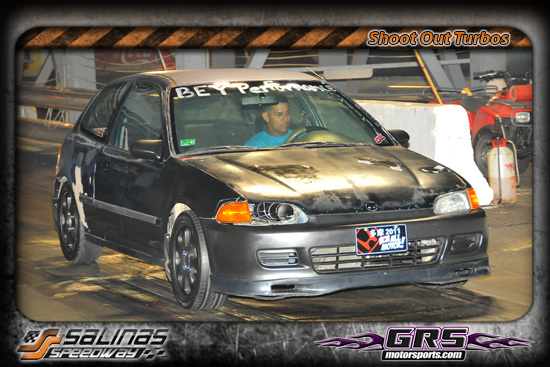 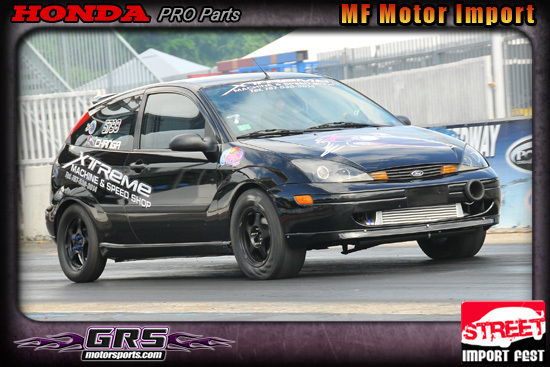 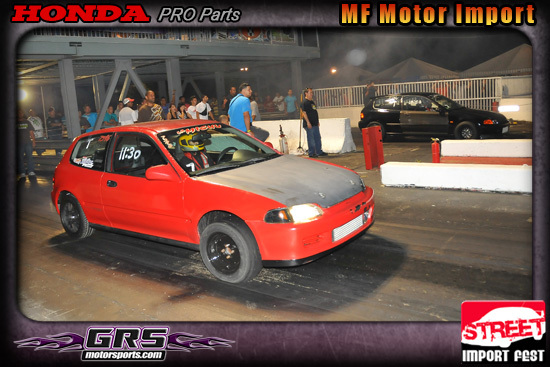 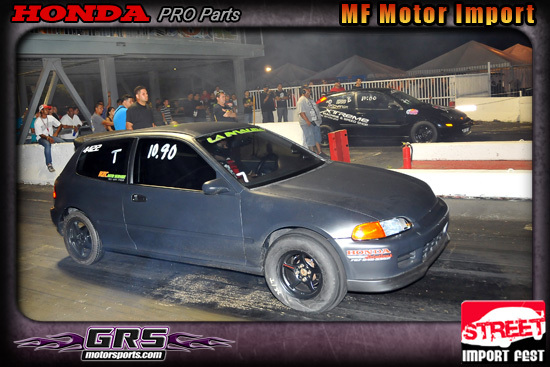 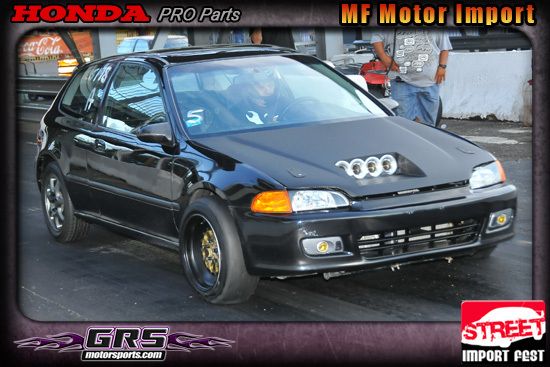 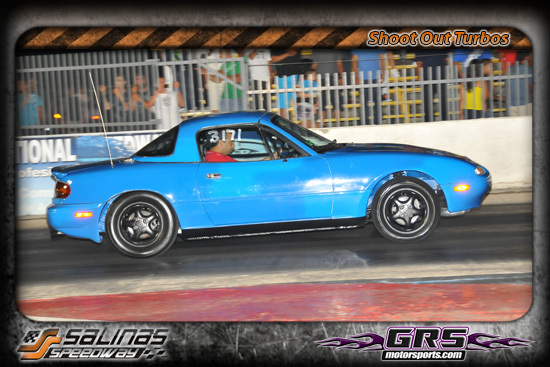 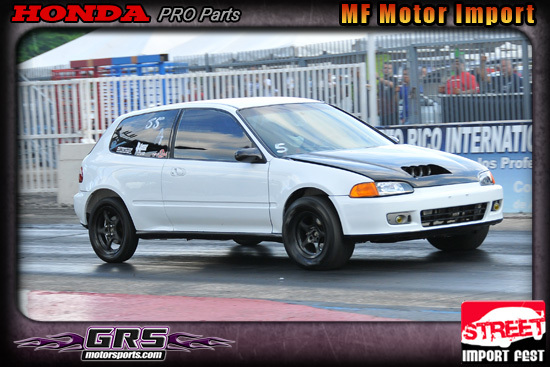 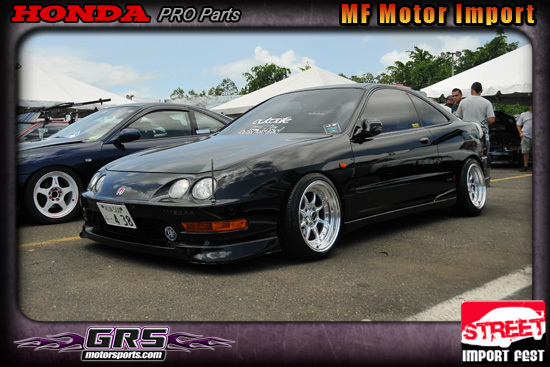 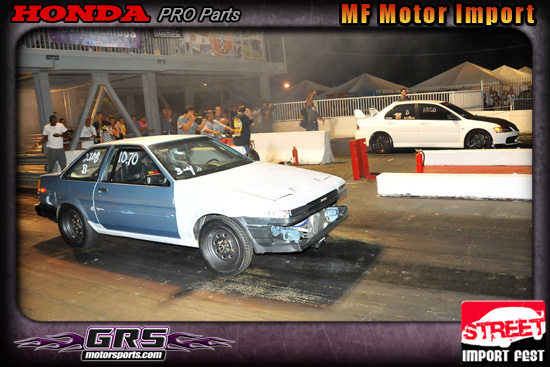 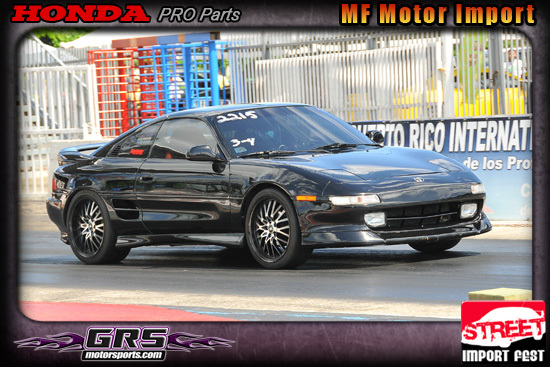 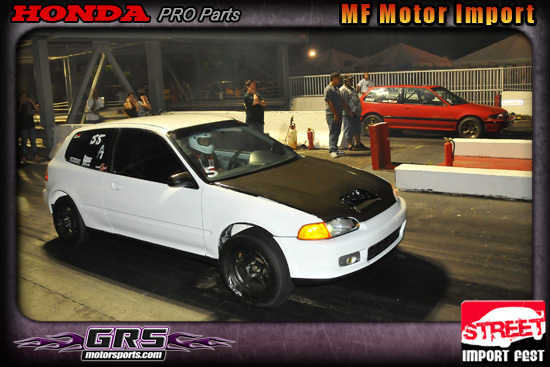 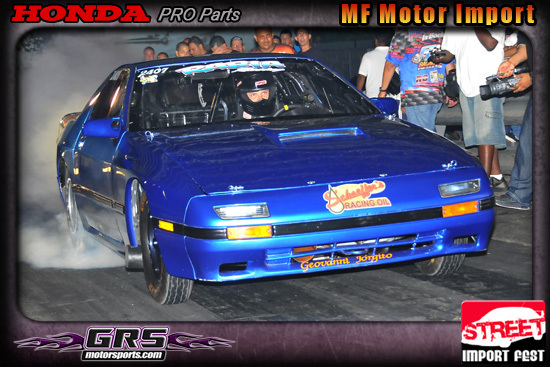 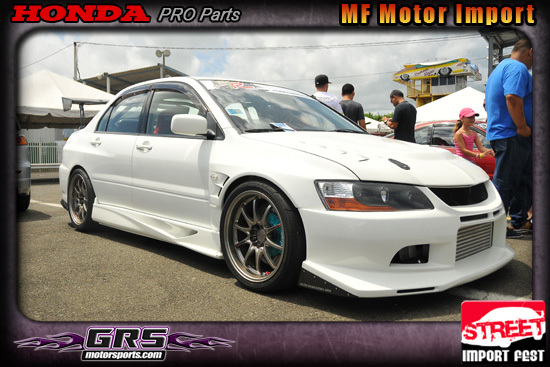 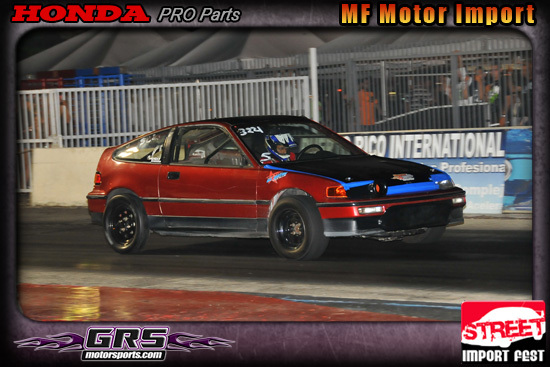 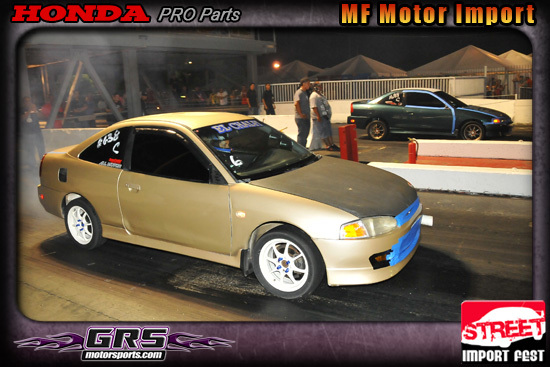 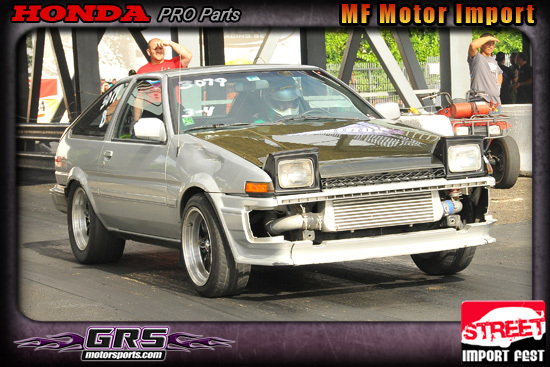 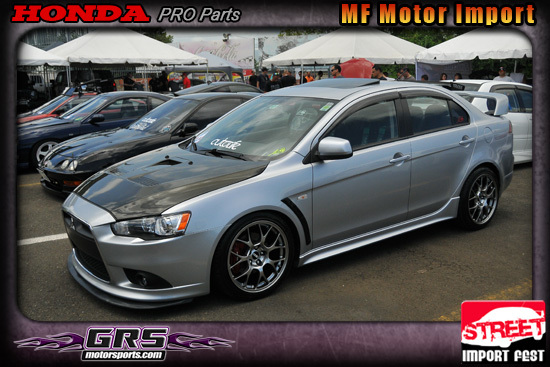 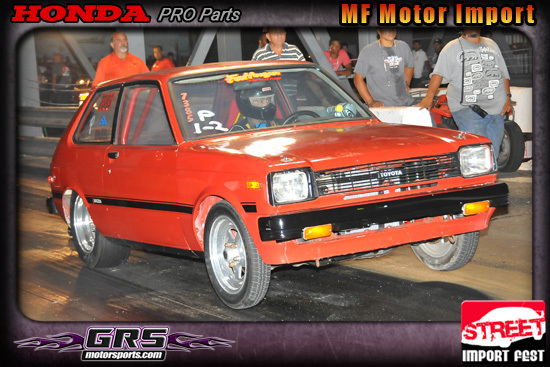 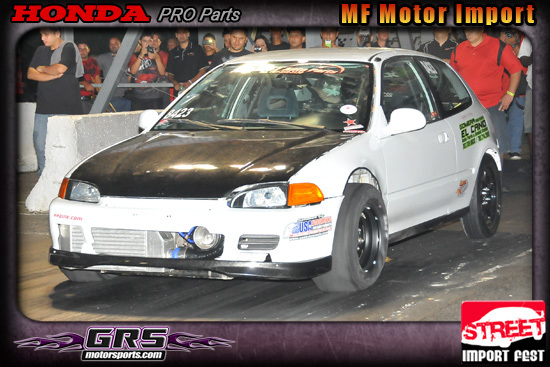 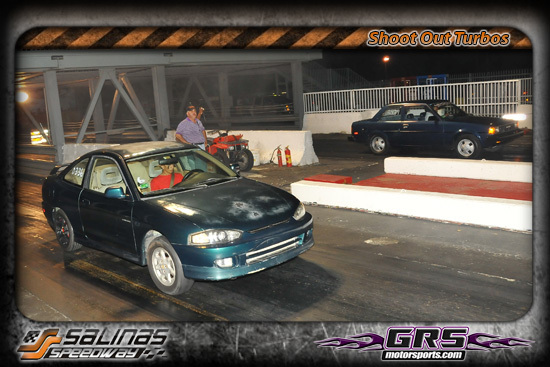 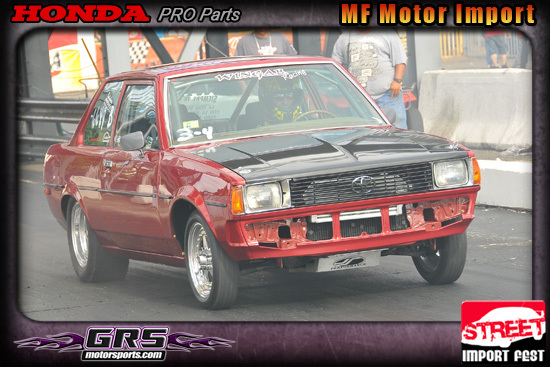 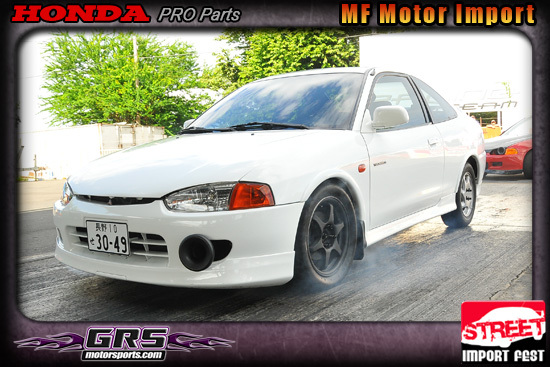 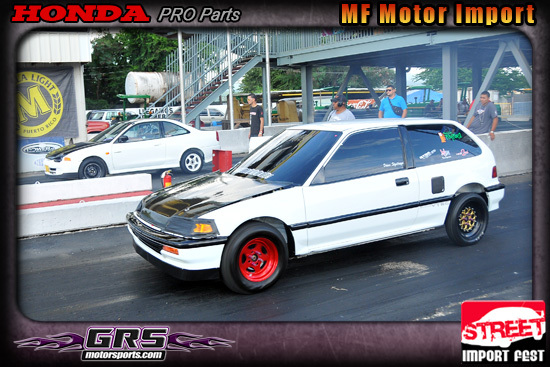 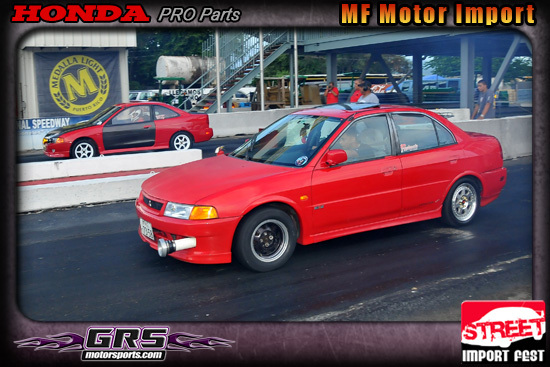 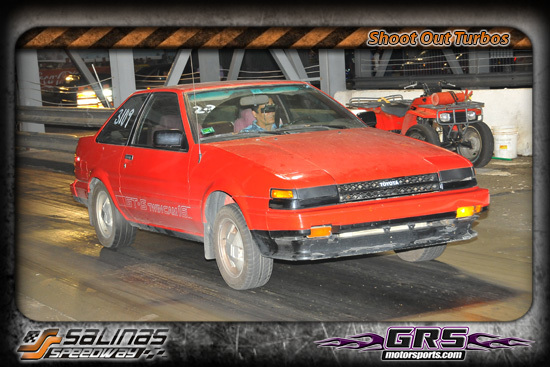 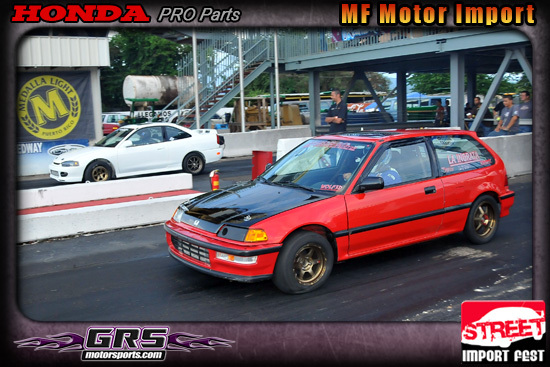 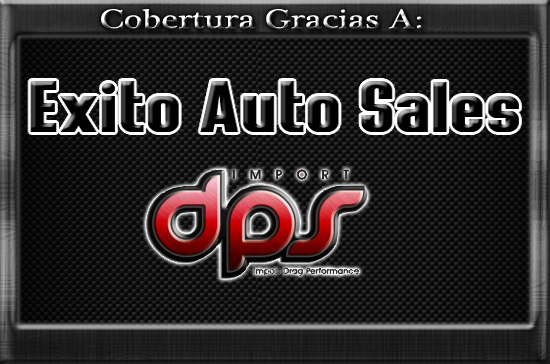 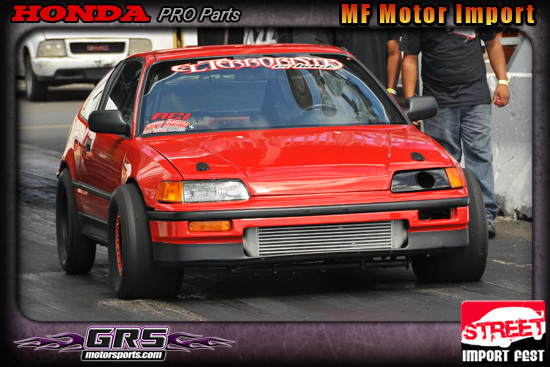 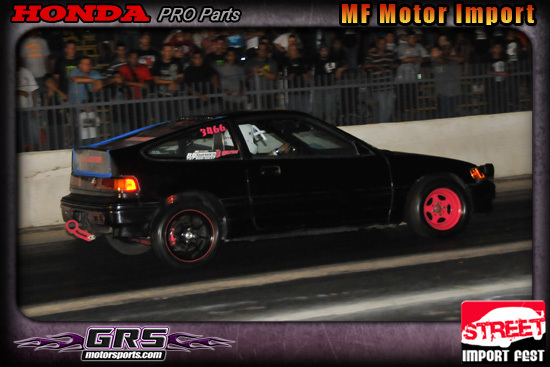 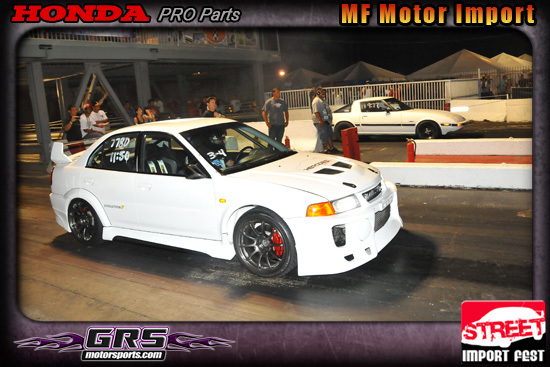 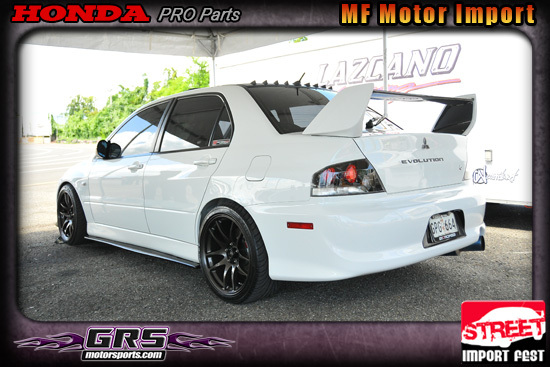 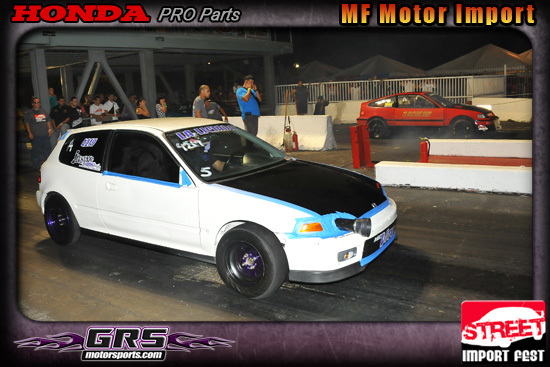 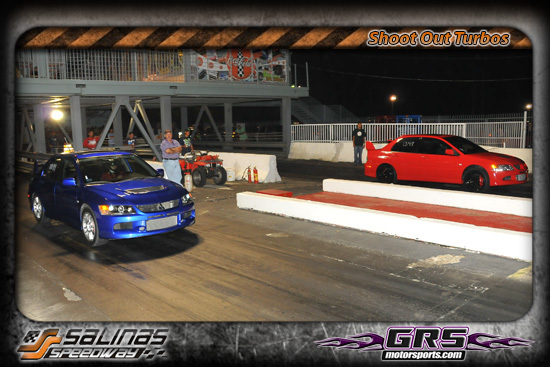 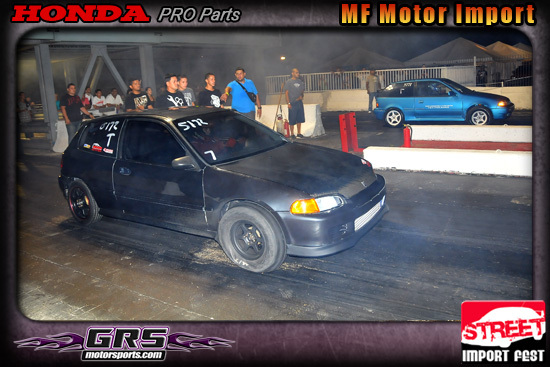 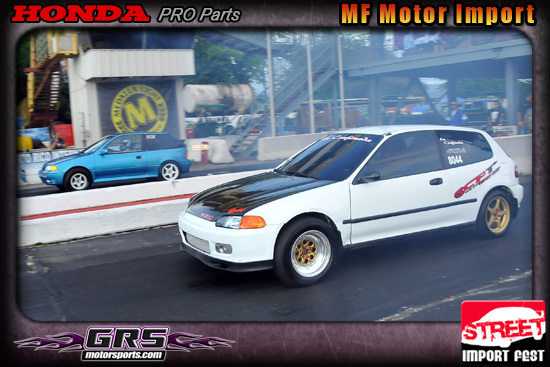 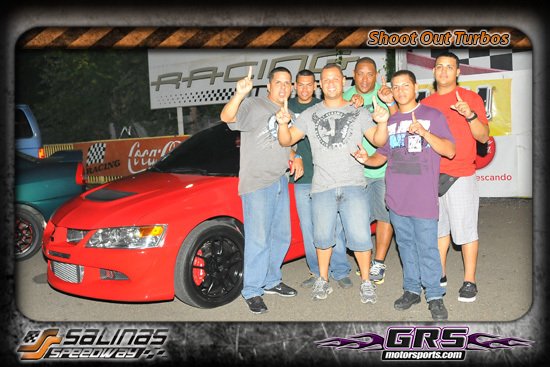 Caguas Racing Shop - 10.97 segs. 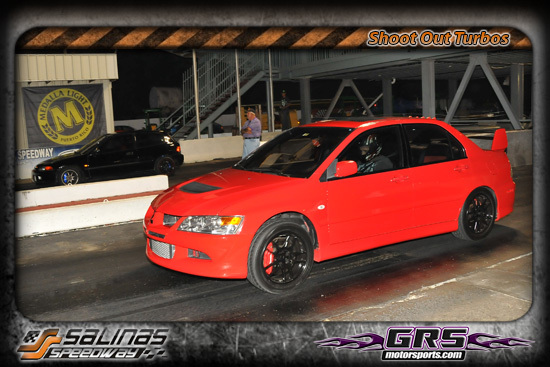 JO Alignment EVO - Prob. 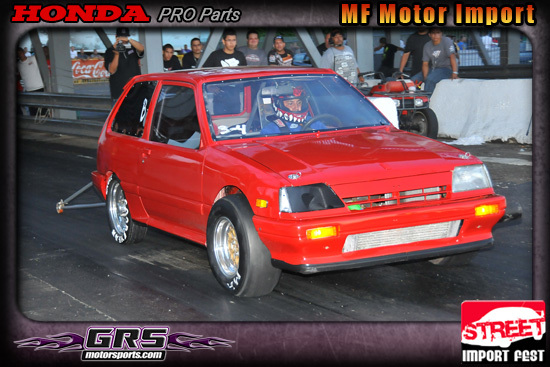 El Fenomeno - 12.82 segs. 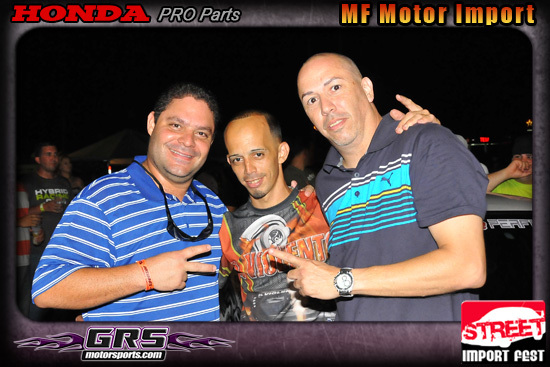 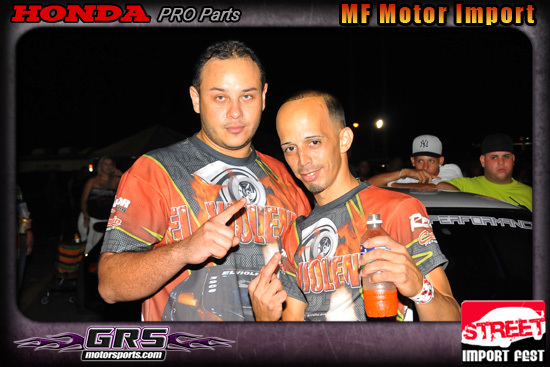 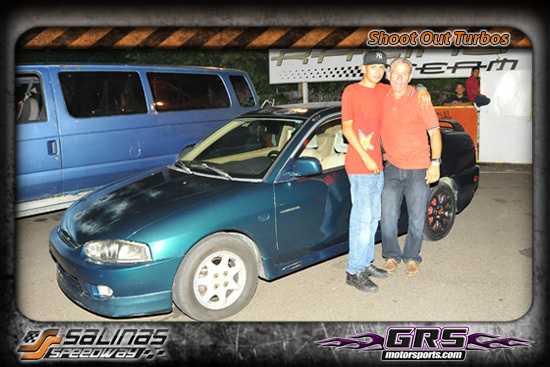 Felicidades a Samuel & Bengie, Runner Up del Shootout Turbo con su Mitsubishi Technica Turbo a Webber. 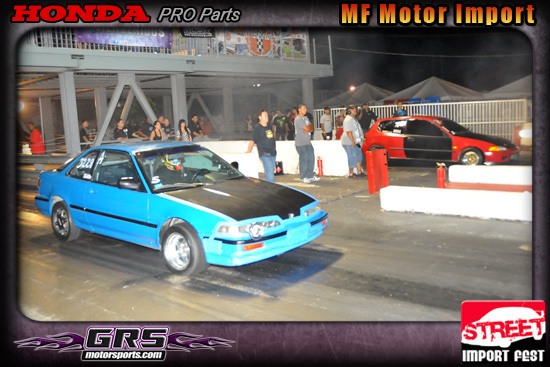 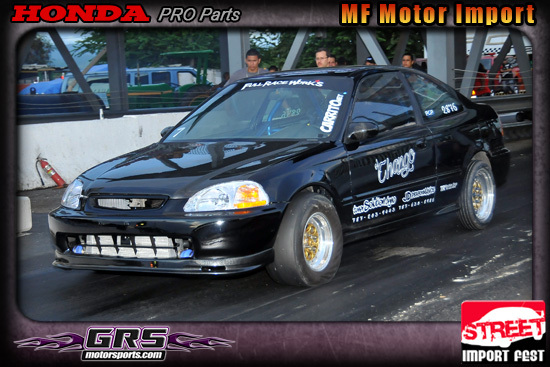 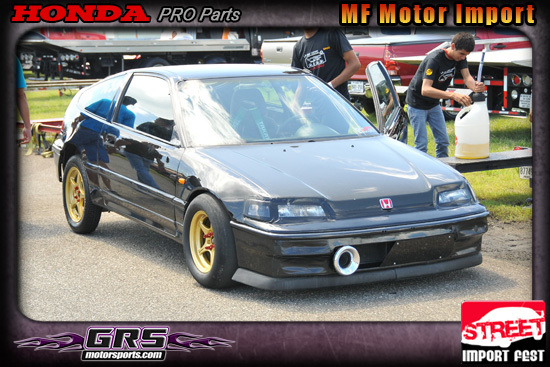 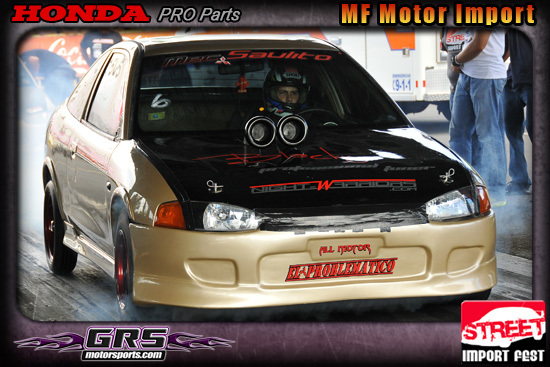 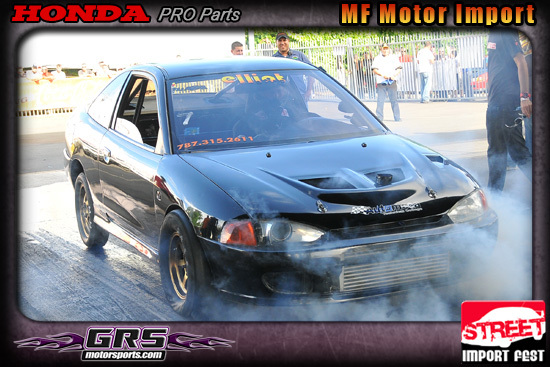 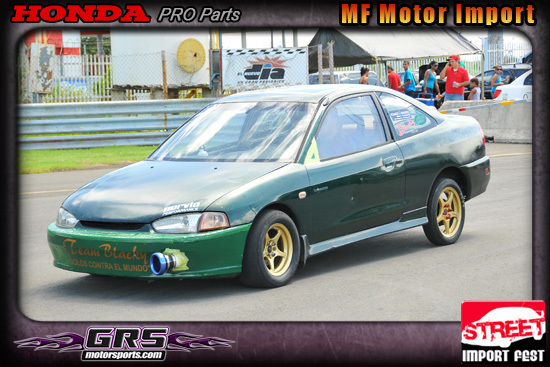 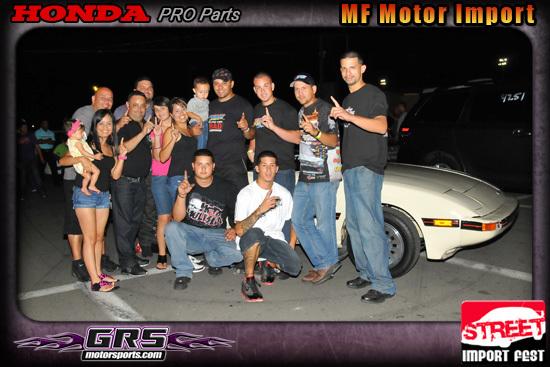 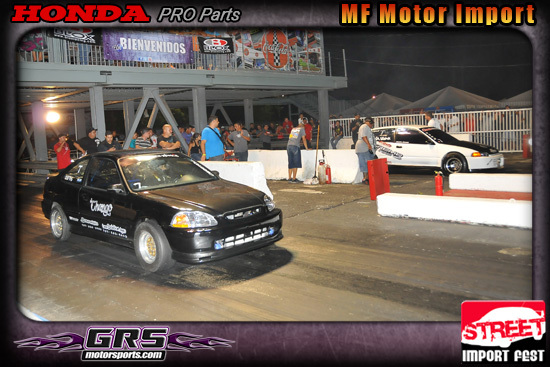 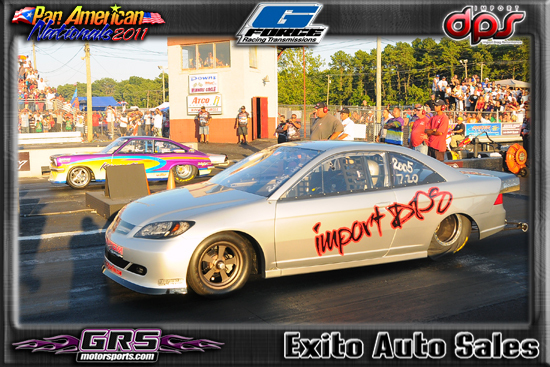 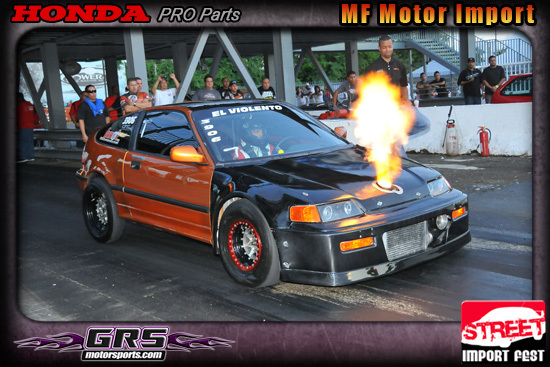 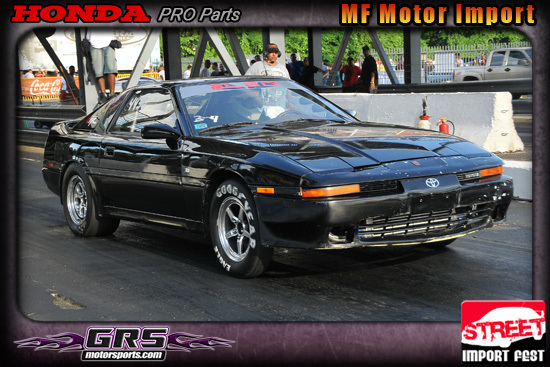 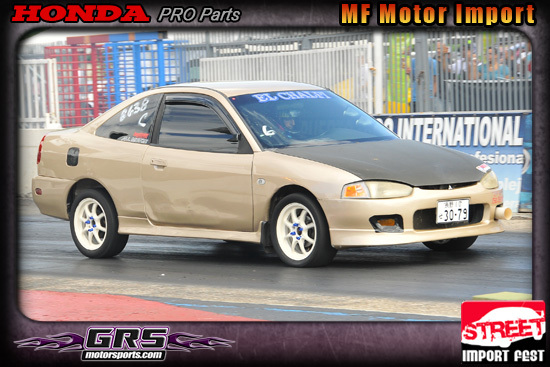 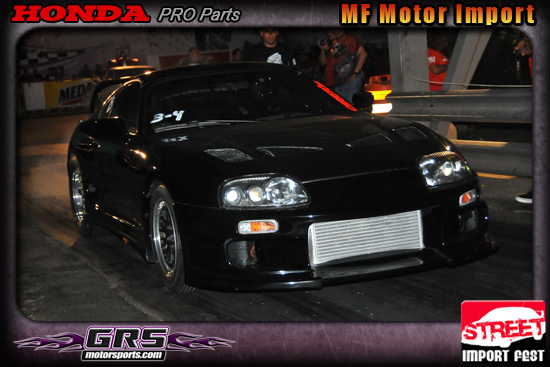 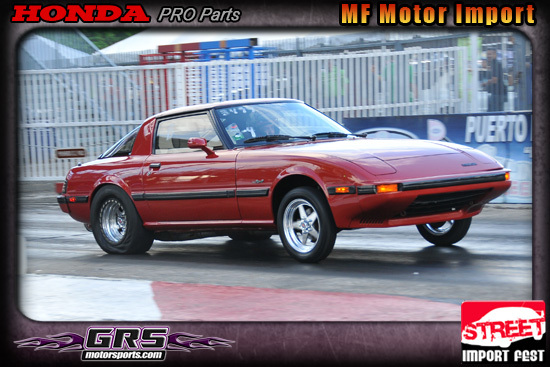 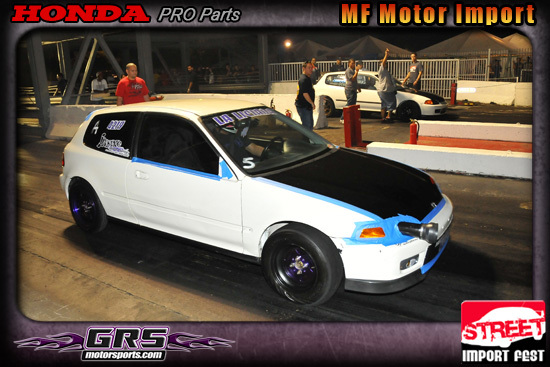 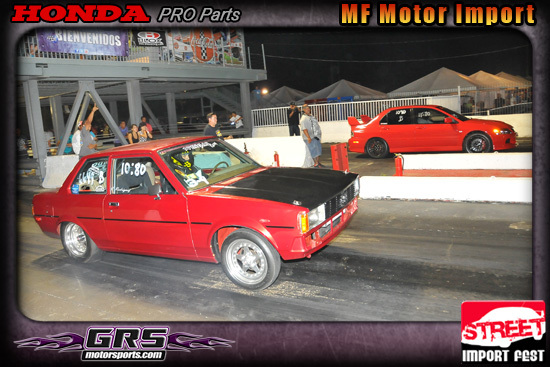 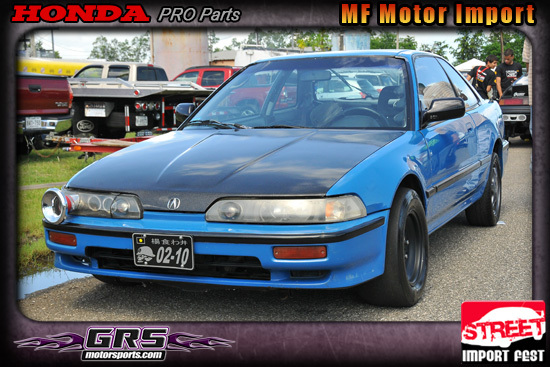 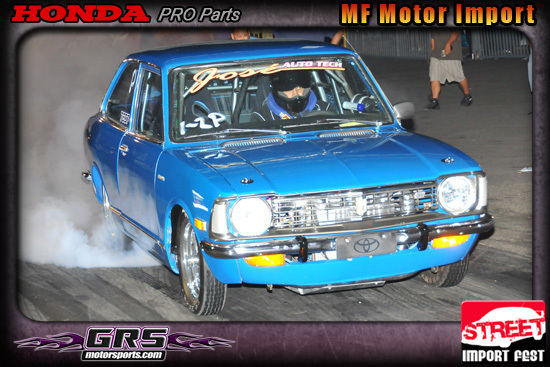 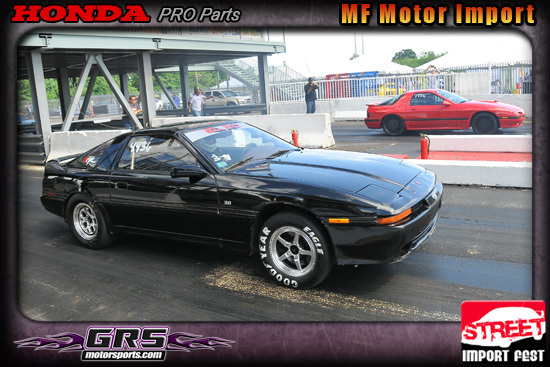 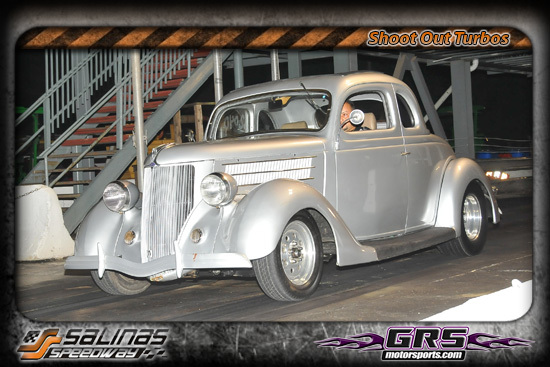 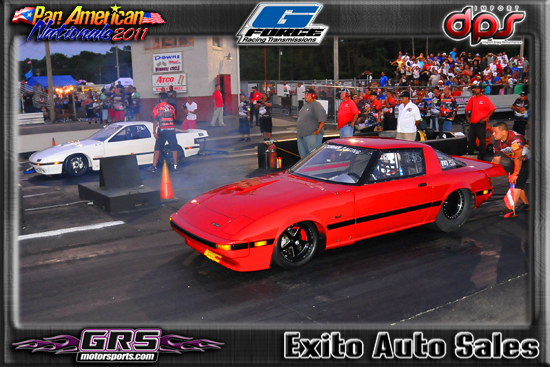 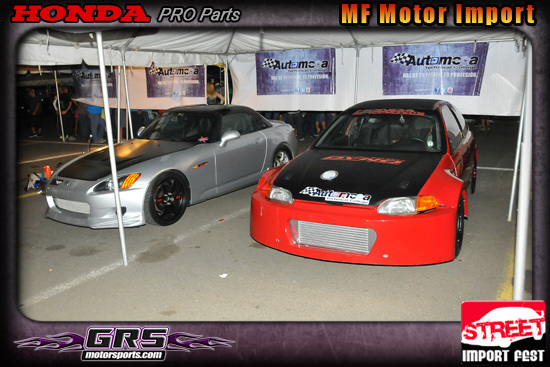 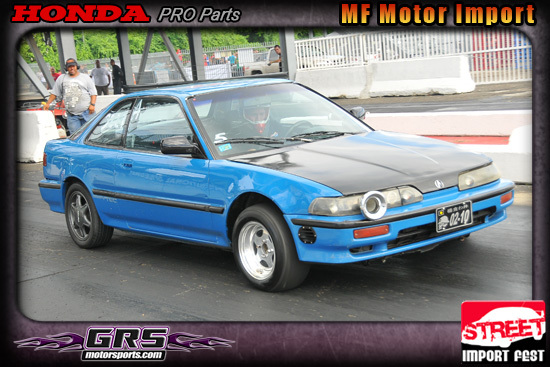 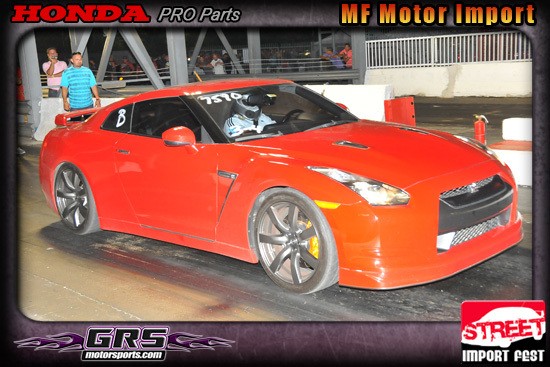 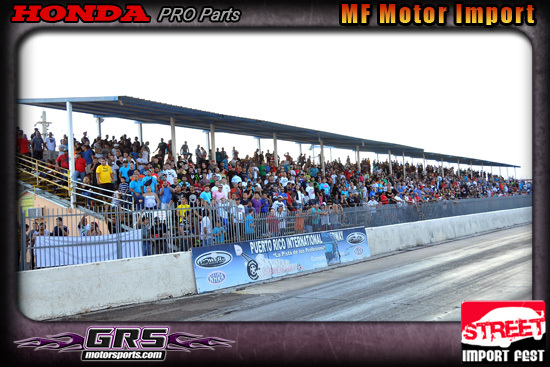 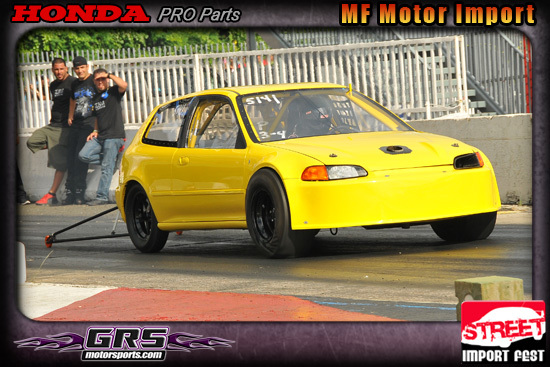 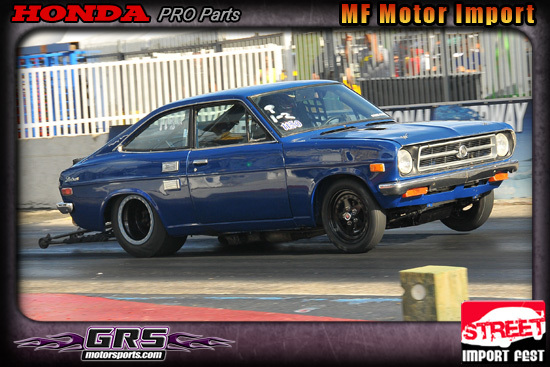 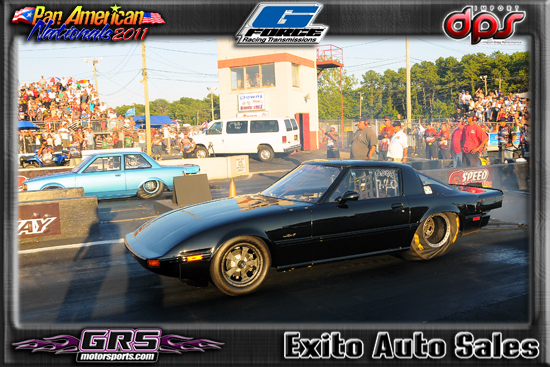 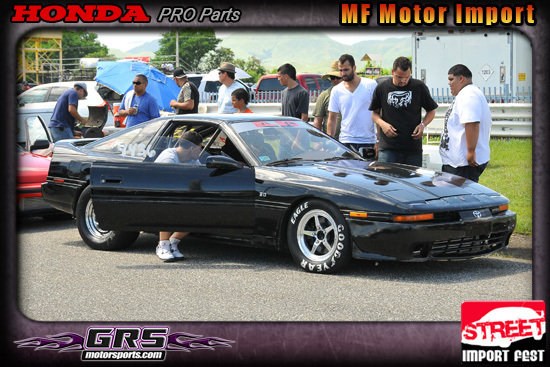 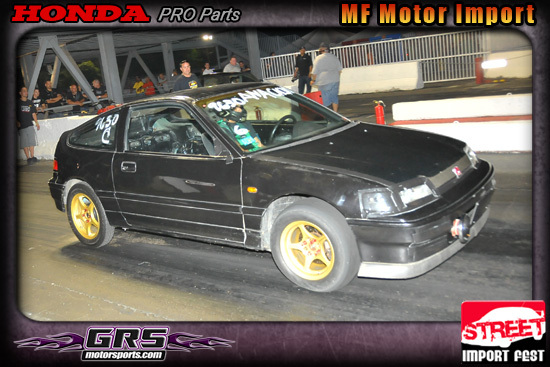 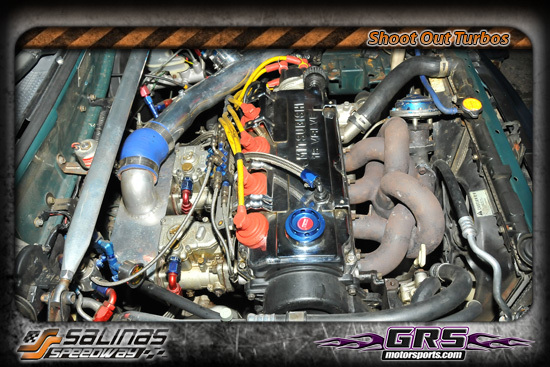 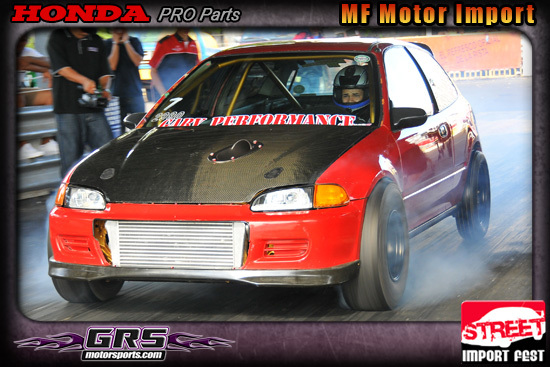 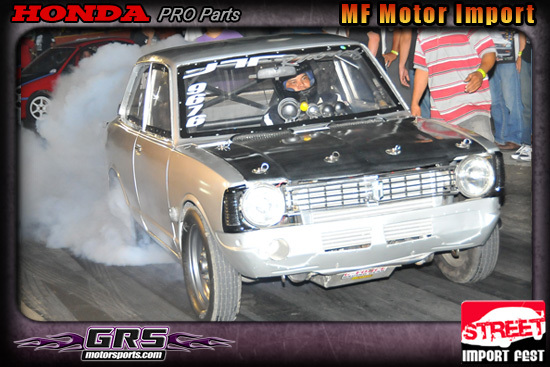 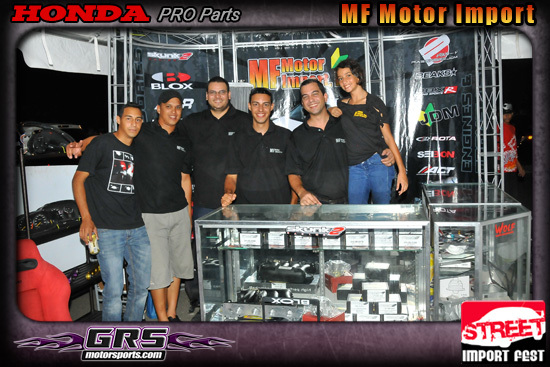 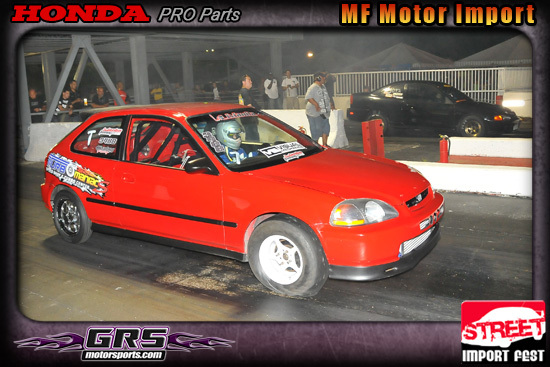 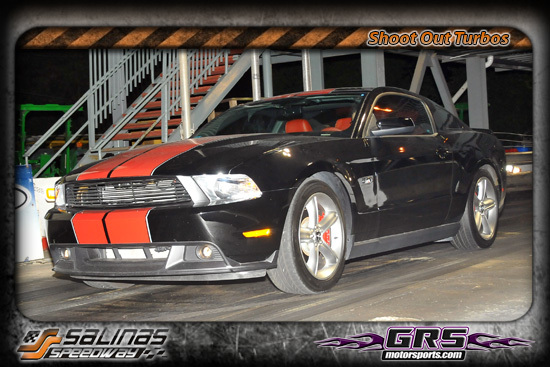 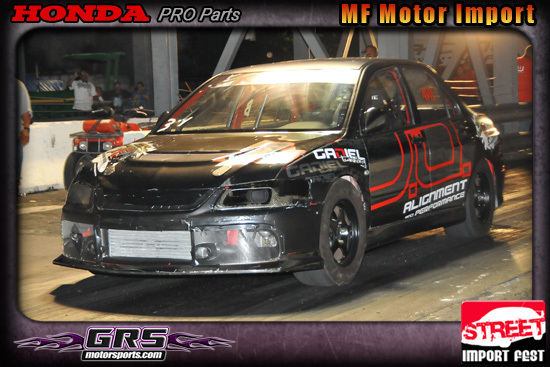 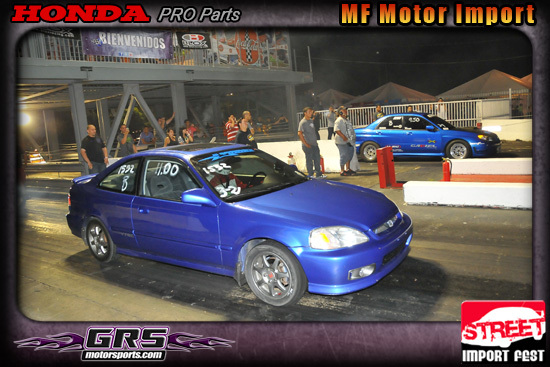 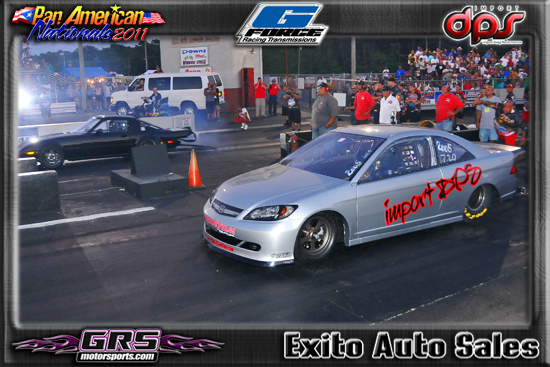 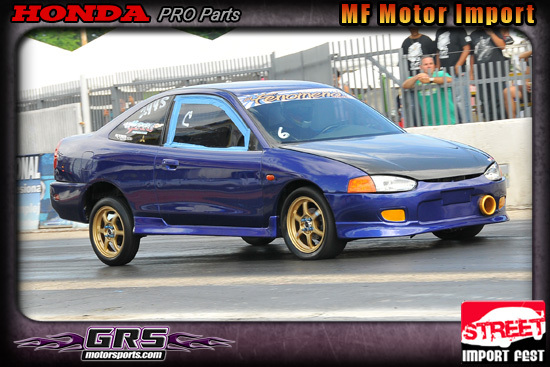 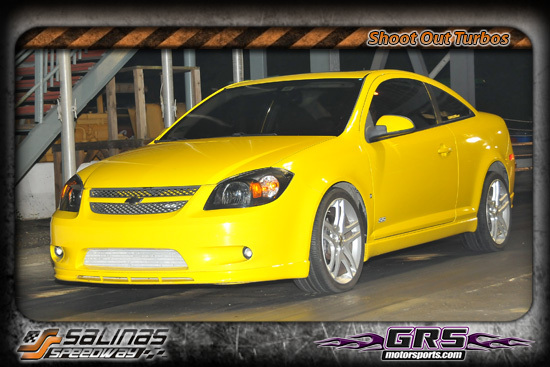 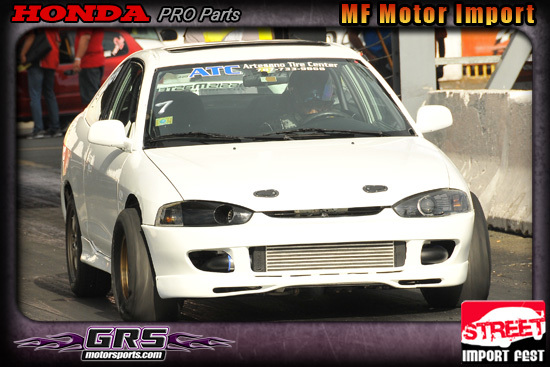 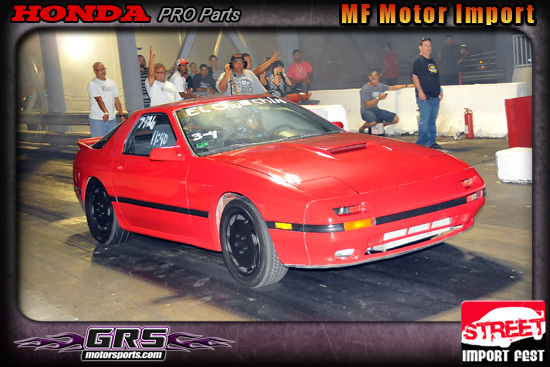 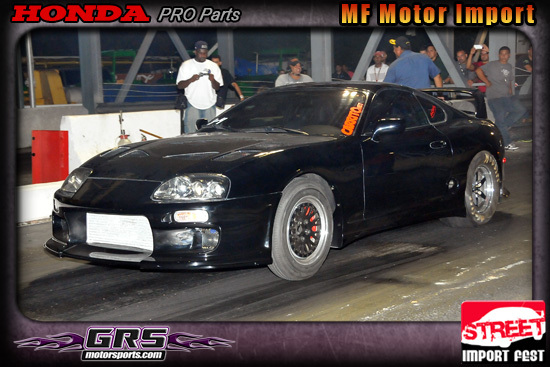 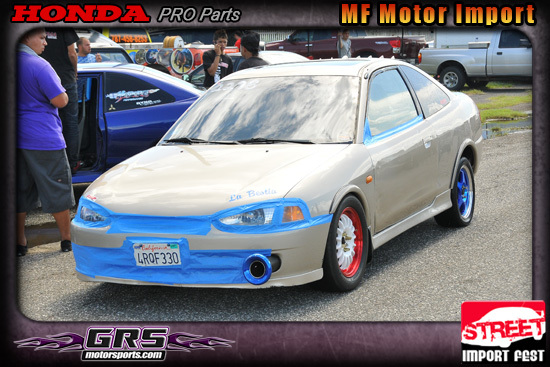 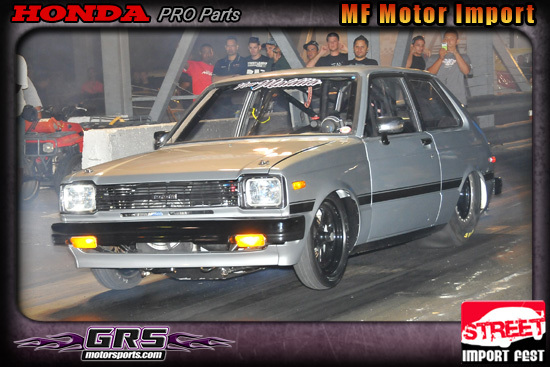 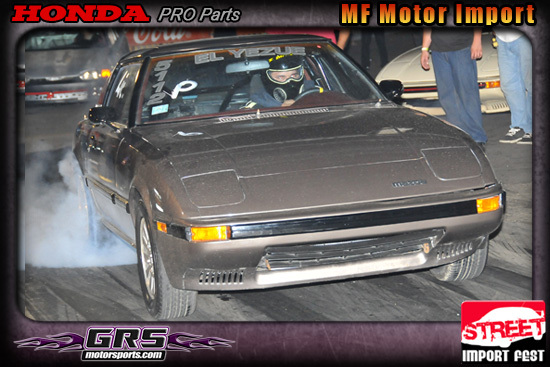 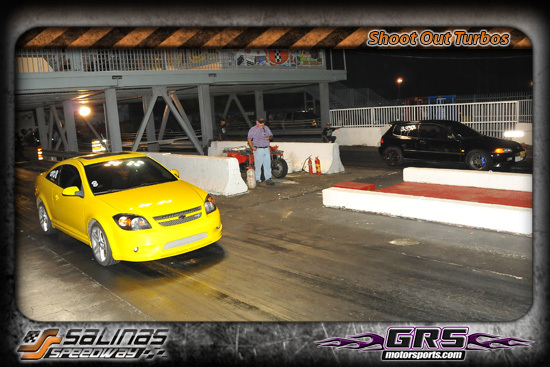 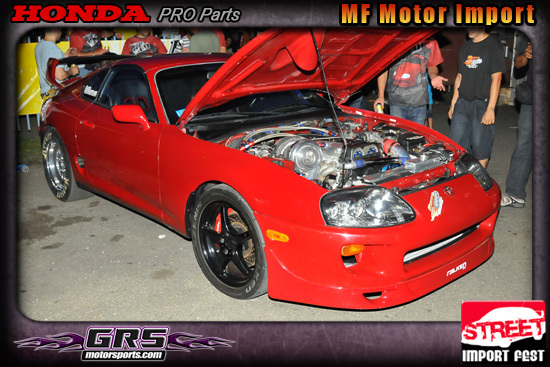 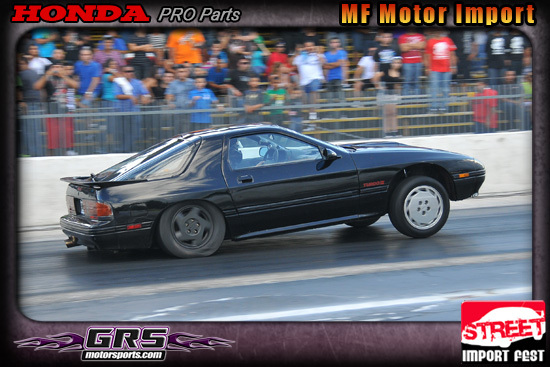 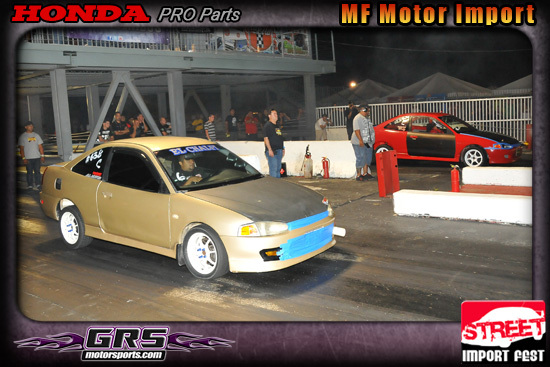 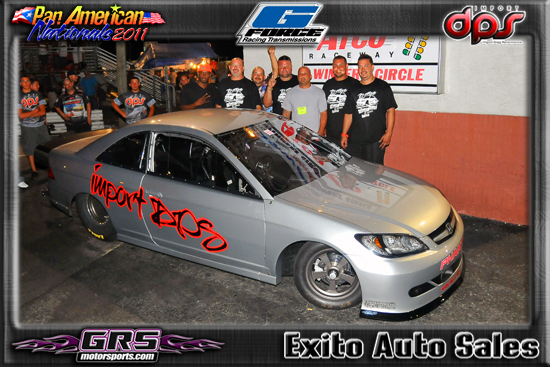 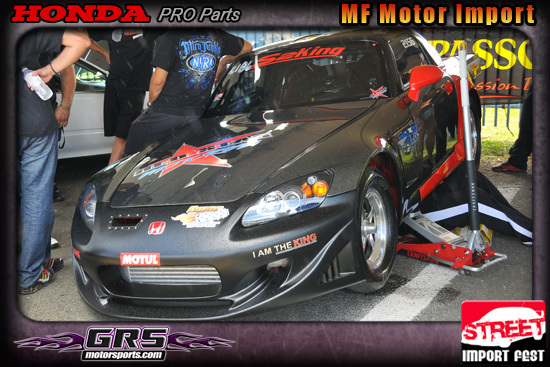 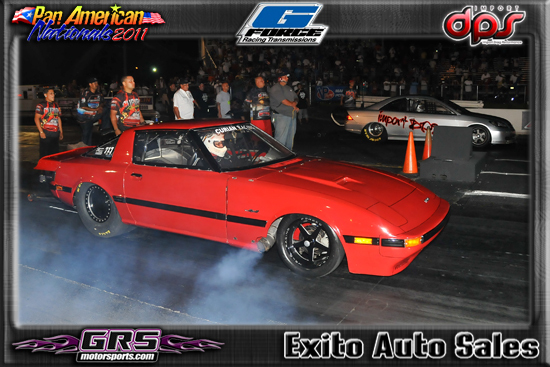 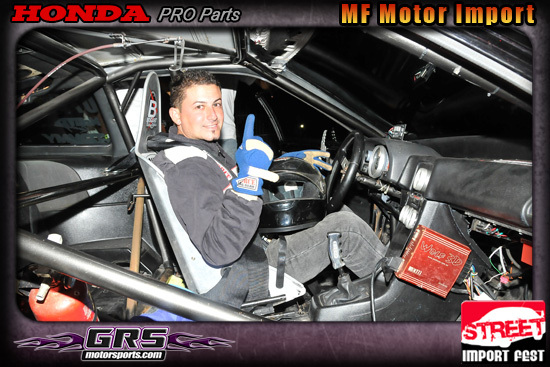 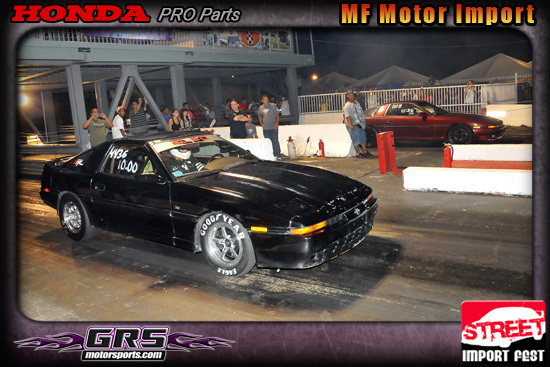 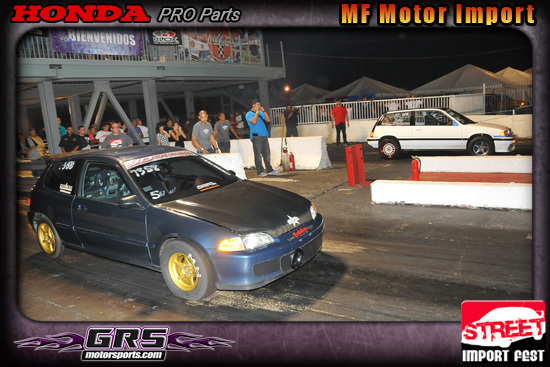 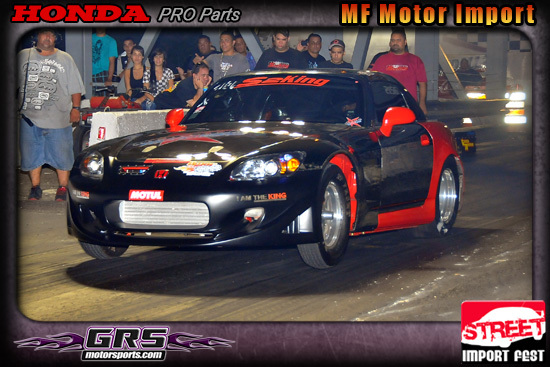 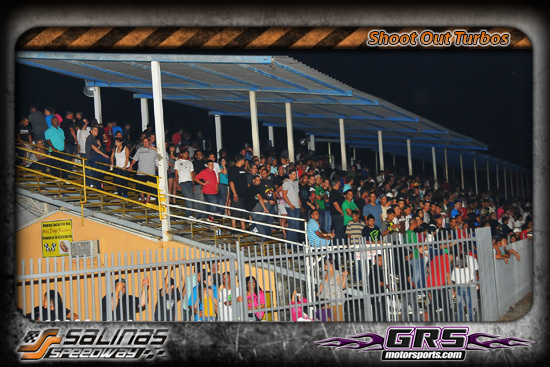 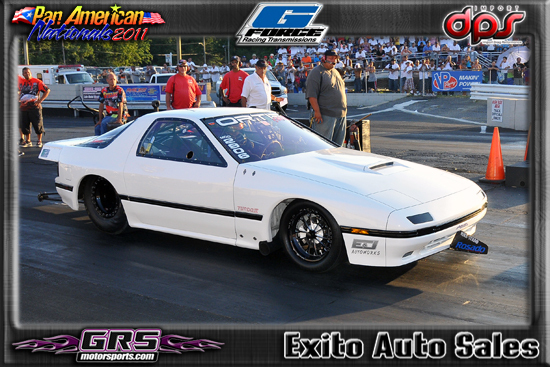 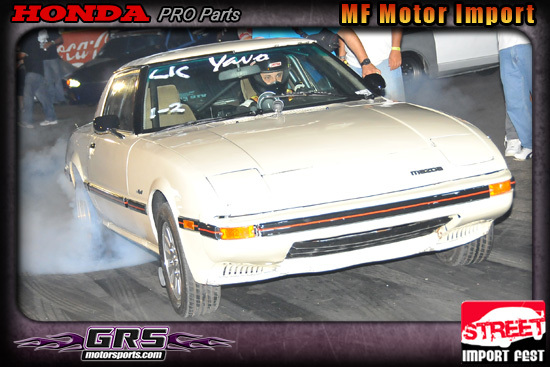 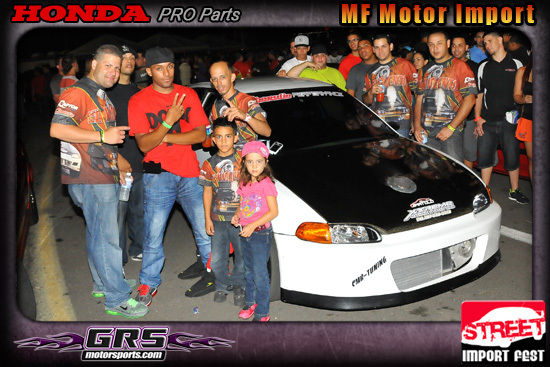 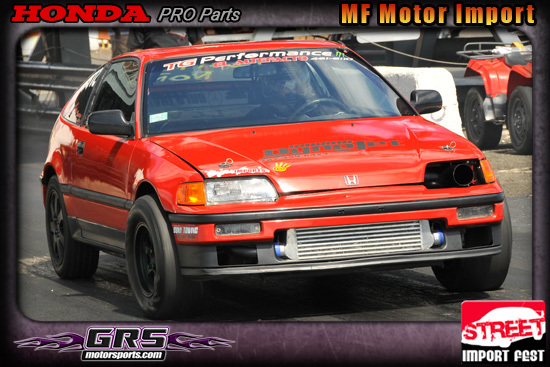 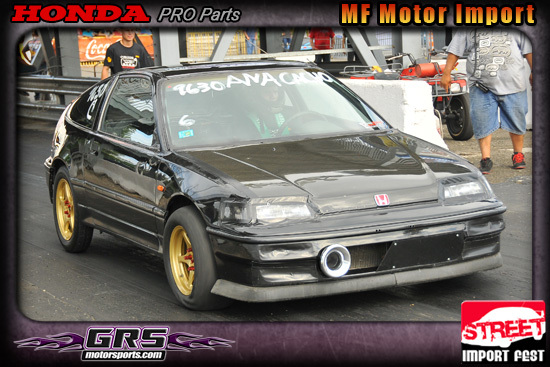 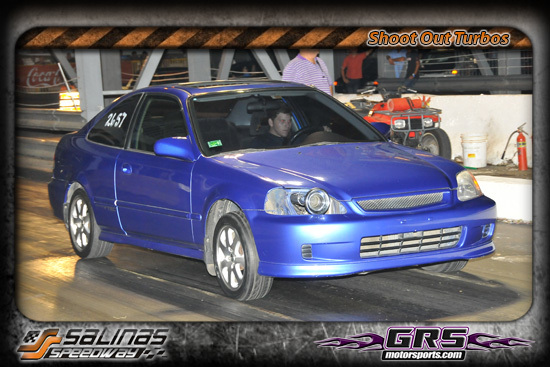 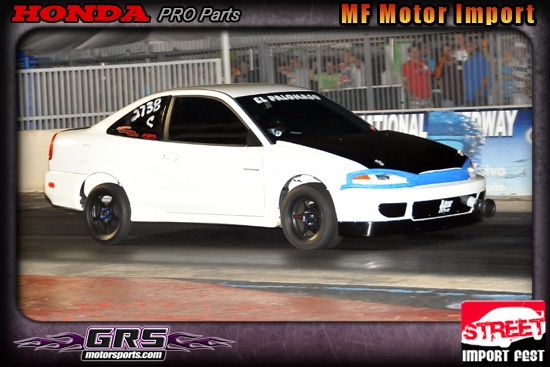 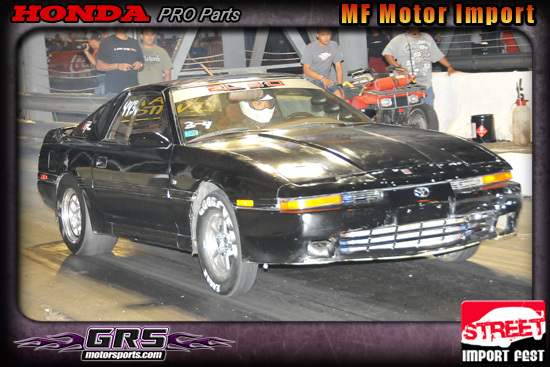 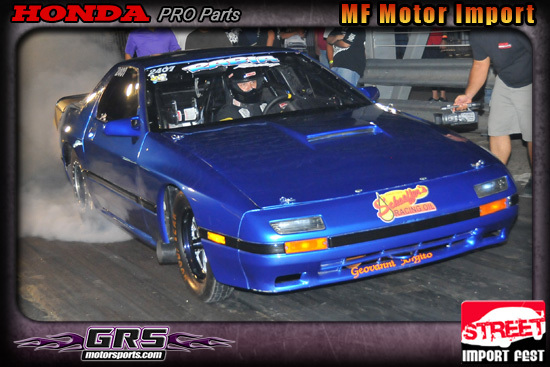 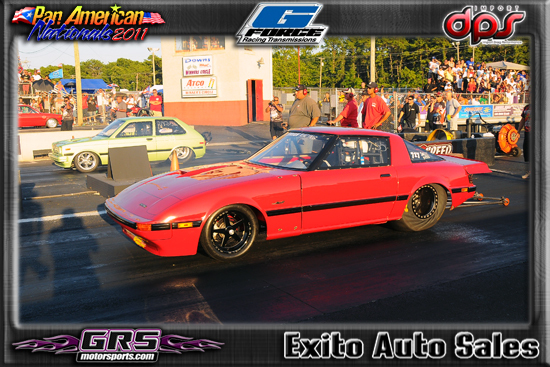 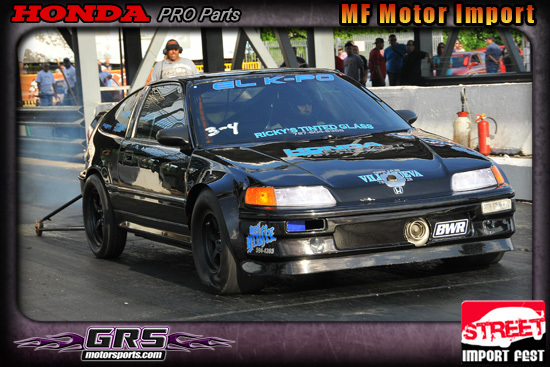 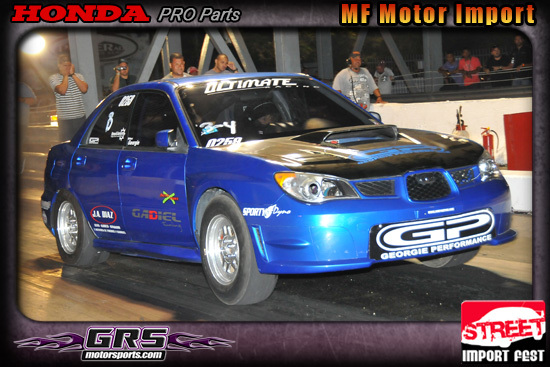 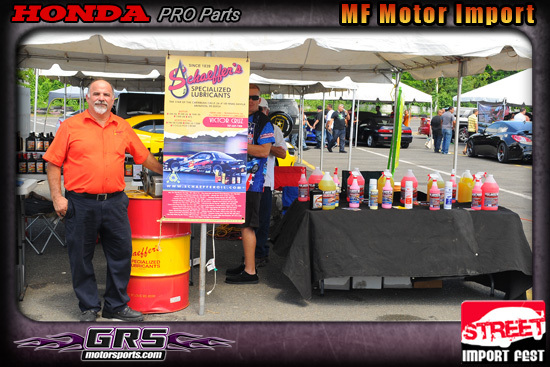 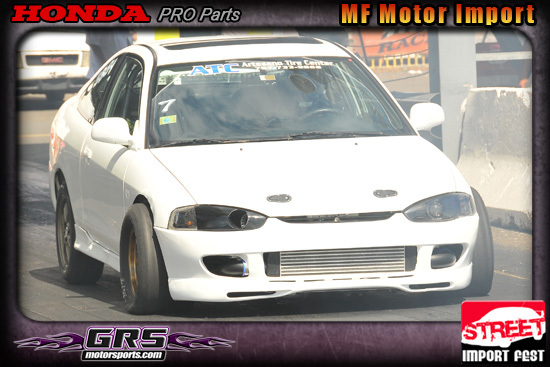 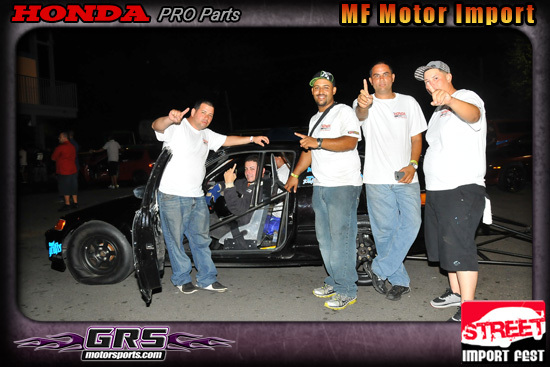 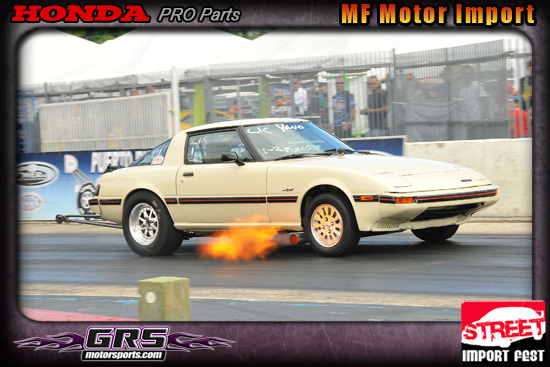 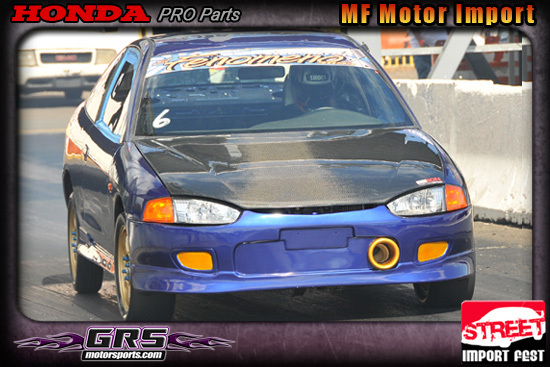 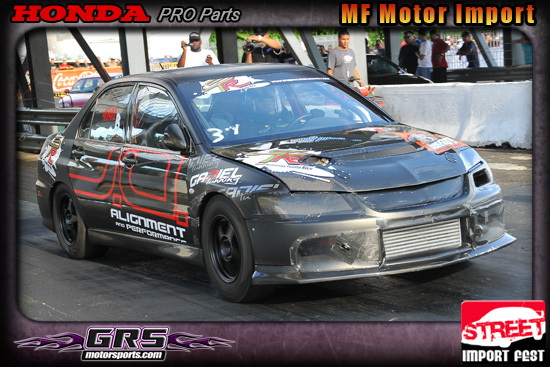 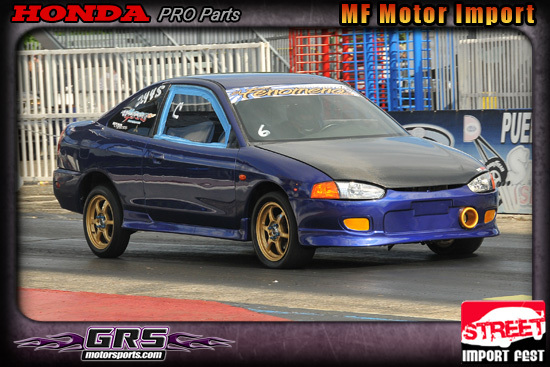 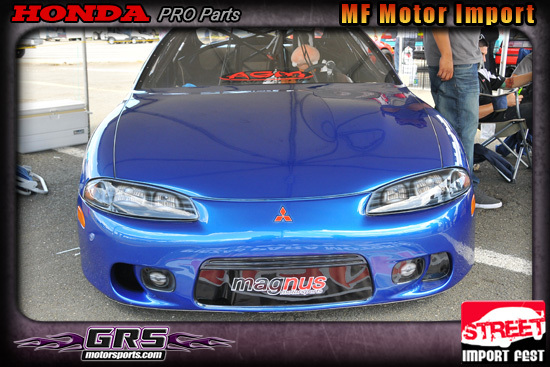 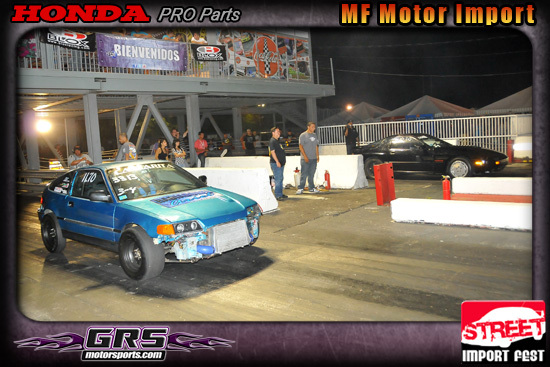 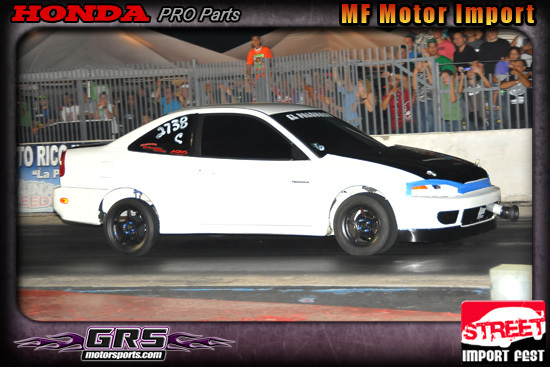 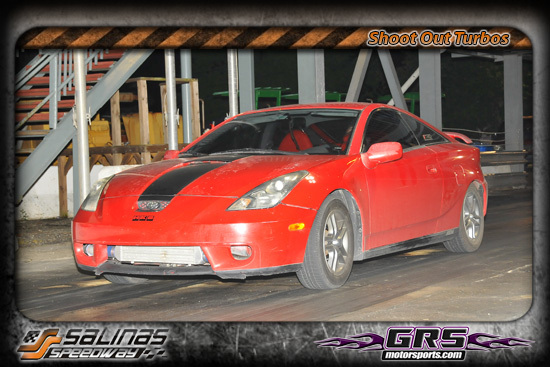 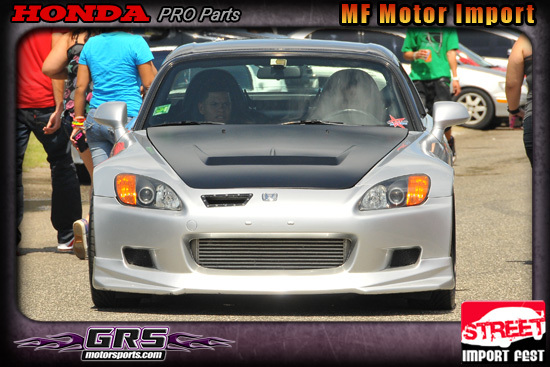 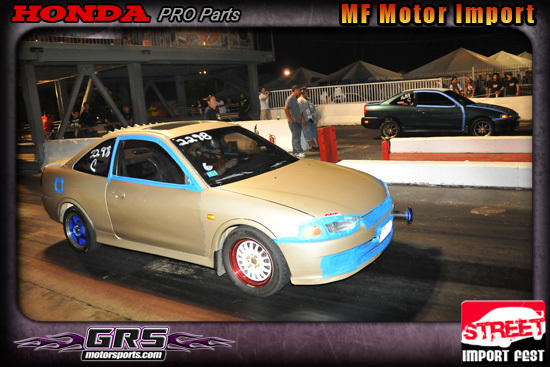 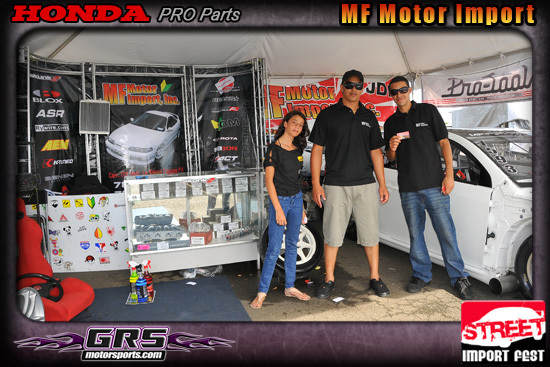 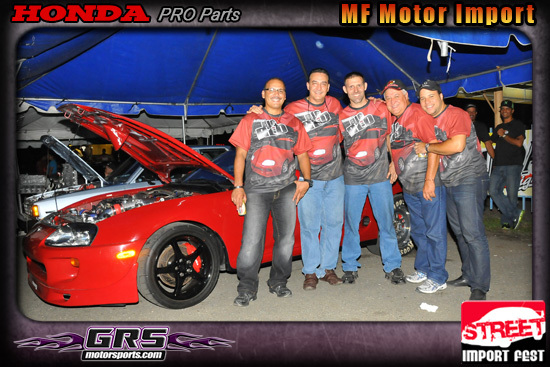 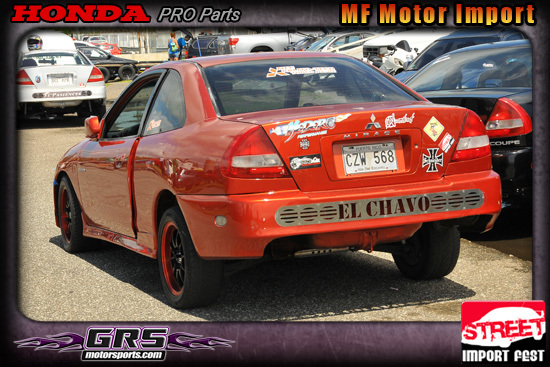 Felicidades al Team Curian Racing Ganador de las PanAmerican Nationals 2011 @ Atco Raceway. 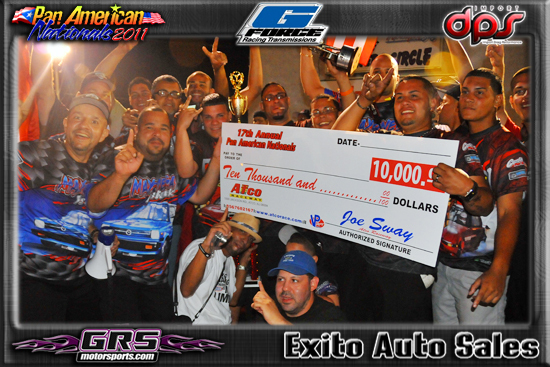 Felicidades A El Team Freddy Runner Up Team USA.